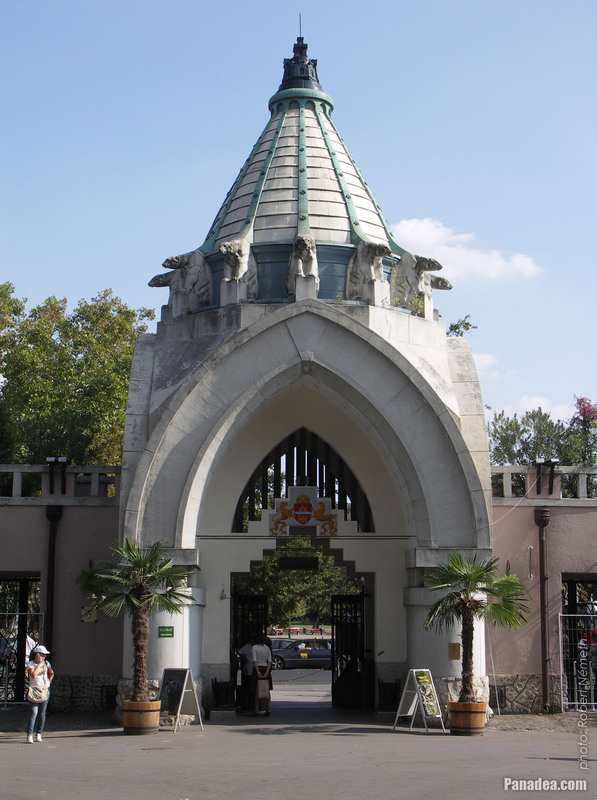 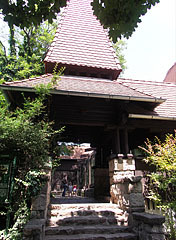 The gate was designed by Kornél Neuschloss and built in 1912, and the current decorative stone pavement around it was created exactly hundred years later, in 2012. 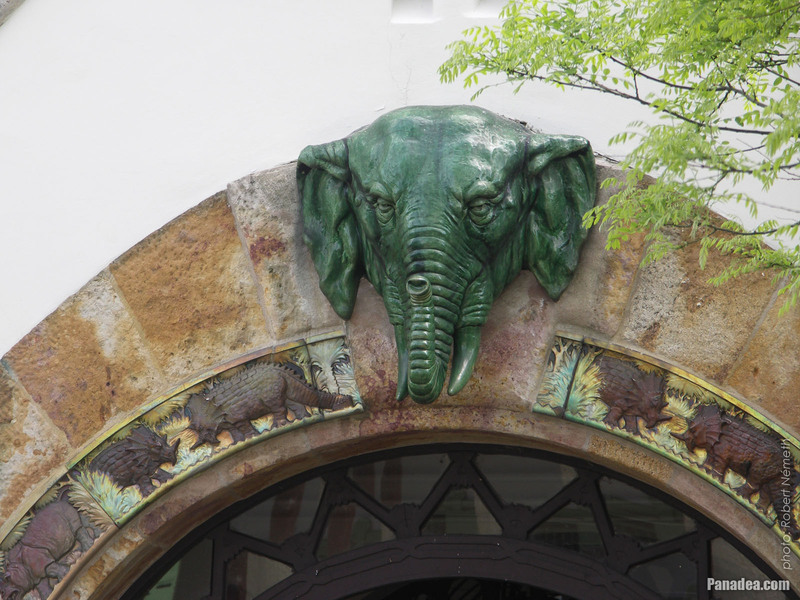 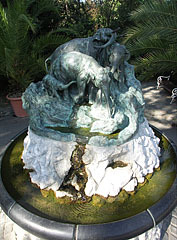 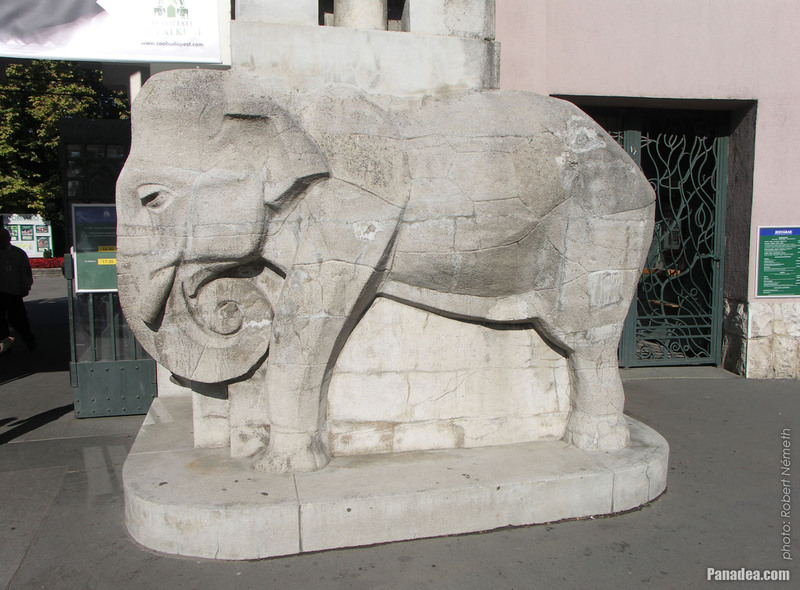 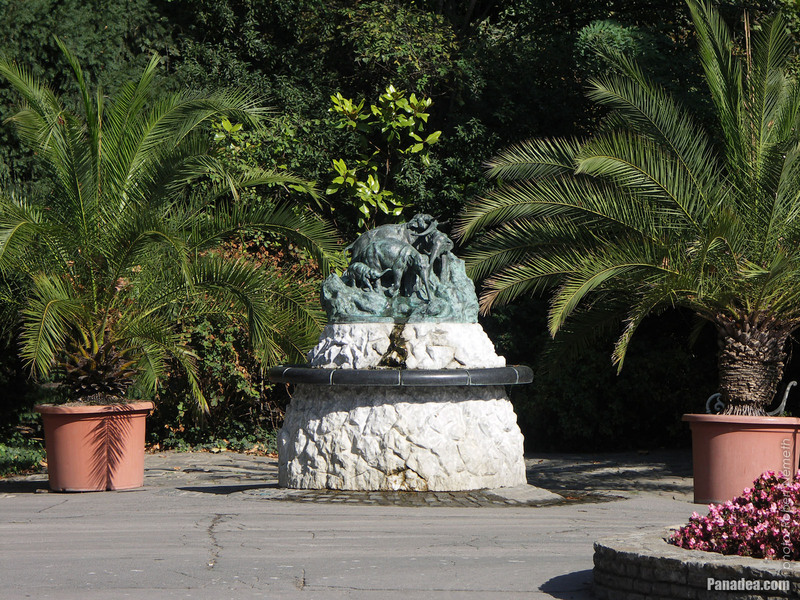 The artificial cast stone elephant sculptures were made by Gyula Maugsch. 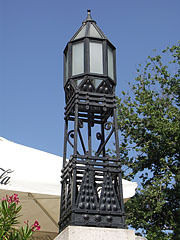 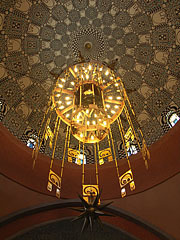 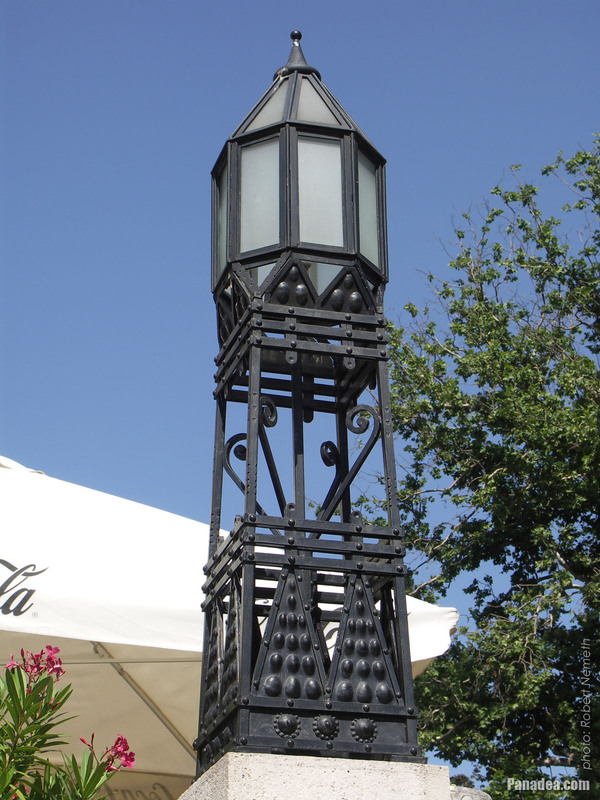 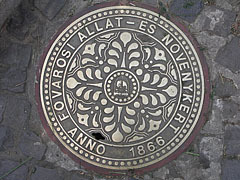 It was created in the workshop of Miksa Róth in 1912. 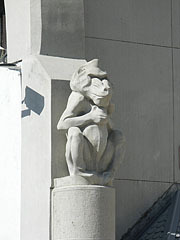 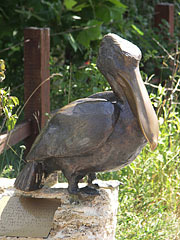 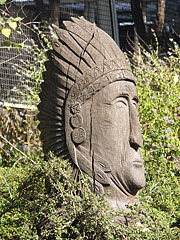 The sculpture was created by Katalin Székely in 2005. 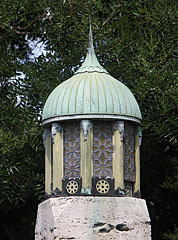 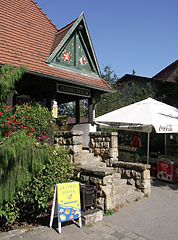 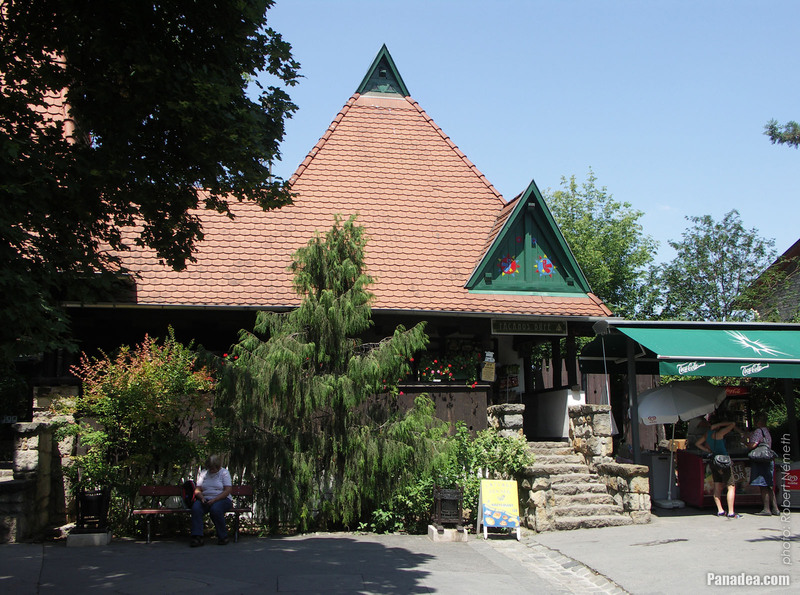 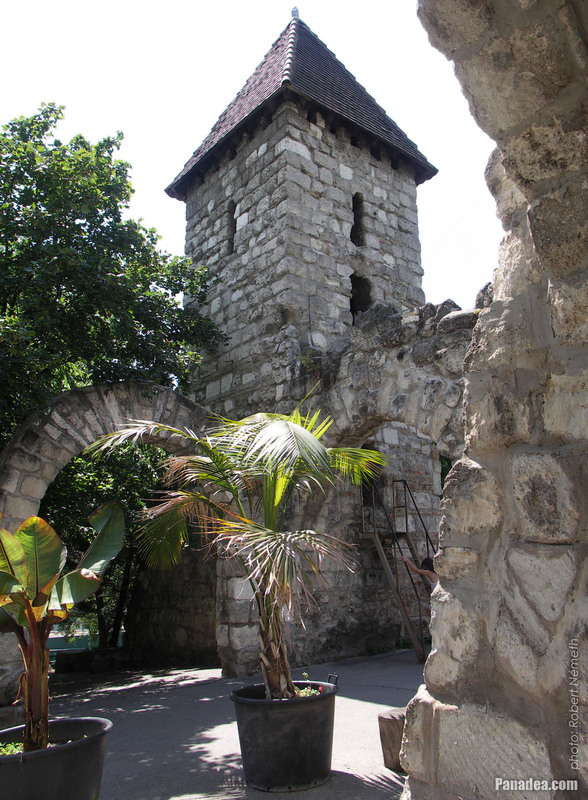 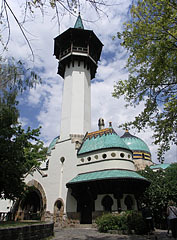 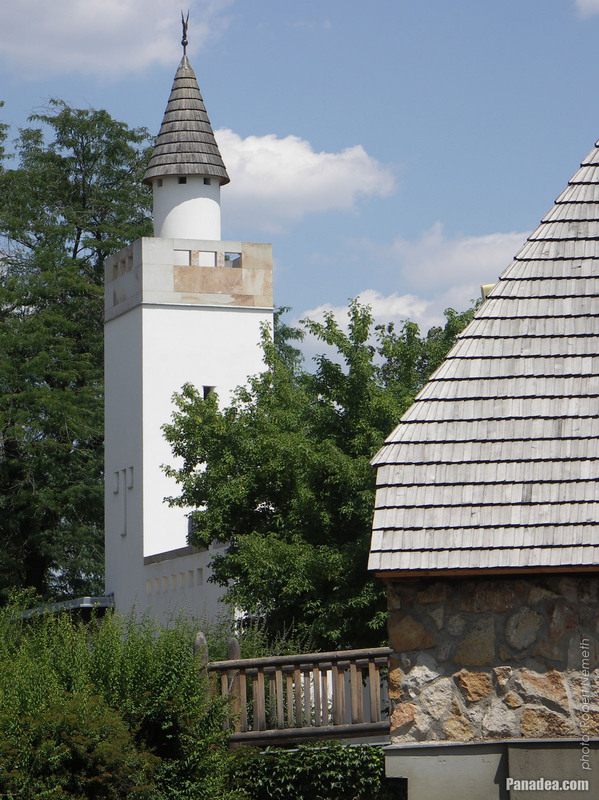 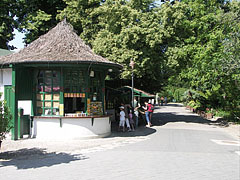 Originally this was the Károly Kós's Bird House, it was built in 1912. 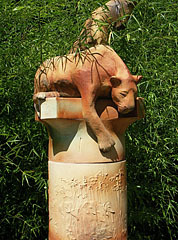 But fortunately it is just a sculpture. 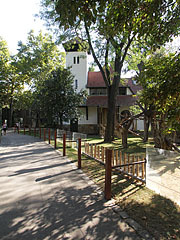 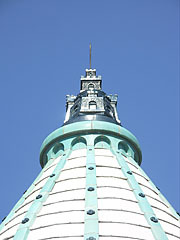 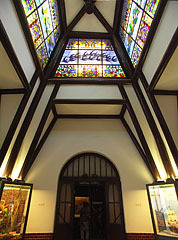 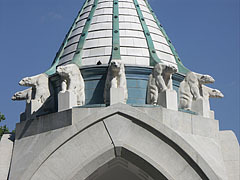 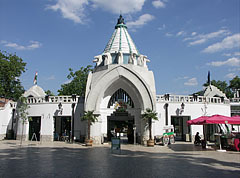 It was built based on the original plans of an old building, which stood here between 1912 and 1932. 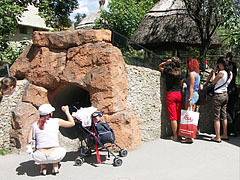 In the foreground barbary sheep (Ammotragus lervia) and hamadryas baboons (Papio hamadryas) live their everyday lives. 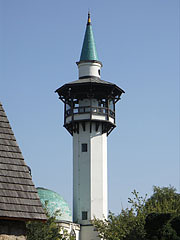 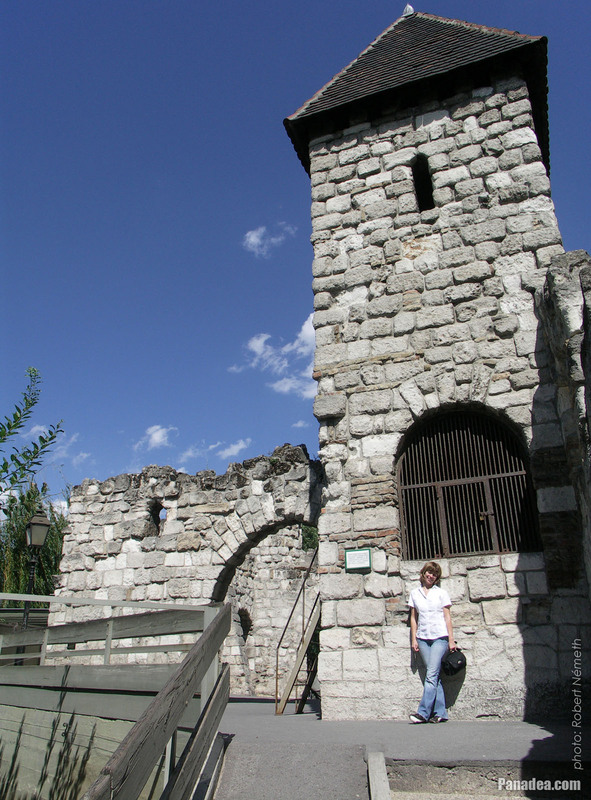 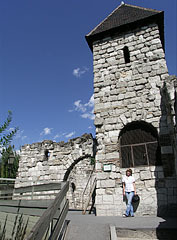 The tower was demolished in 1915 and was rebuilt only in the winter of 1998/1999. 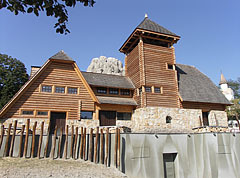 It was constructed in 2010, on the remained foundations of the former Bison House (built in 1963). 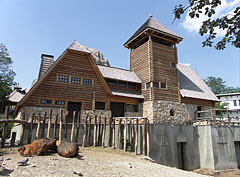 This building is a replica of the old Buffalo House that was built in 1912. 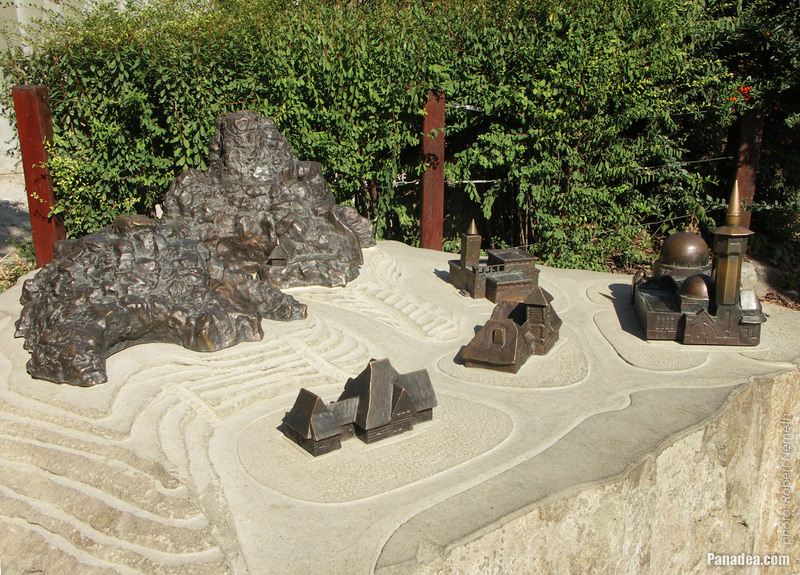 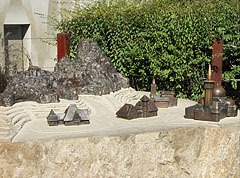 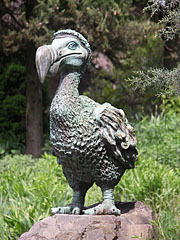 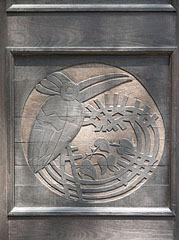 The bronze and stone artwork was created by Katalin Székely in 2011. Bronze copy of the artwork of Gyula Maugsch from 1912, this one was created by Attila Zsigmond in 2010. It is well visible that in reality there are not only two, but two and two guarding elephant sculptures at the gate, with statues of cross-legged Indian animal trainers between them. 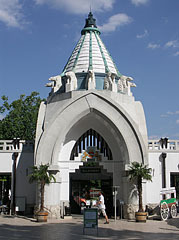 Palm House, today it is called "America Tropicana"
The building was designed by Gyula Végh and built between 1909-1912. 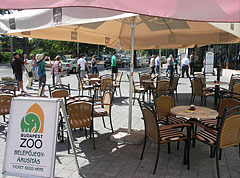 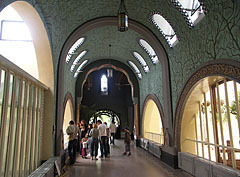 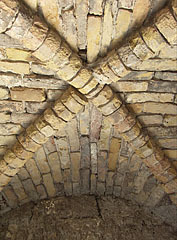 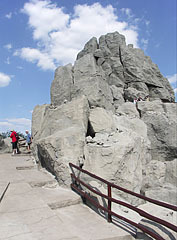 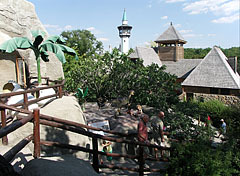 There was a major renovation between 1991 and 2000. 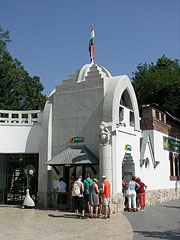 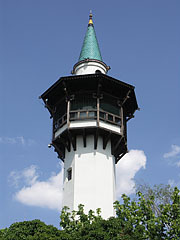 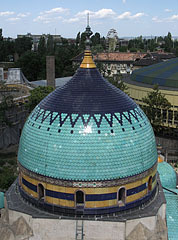 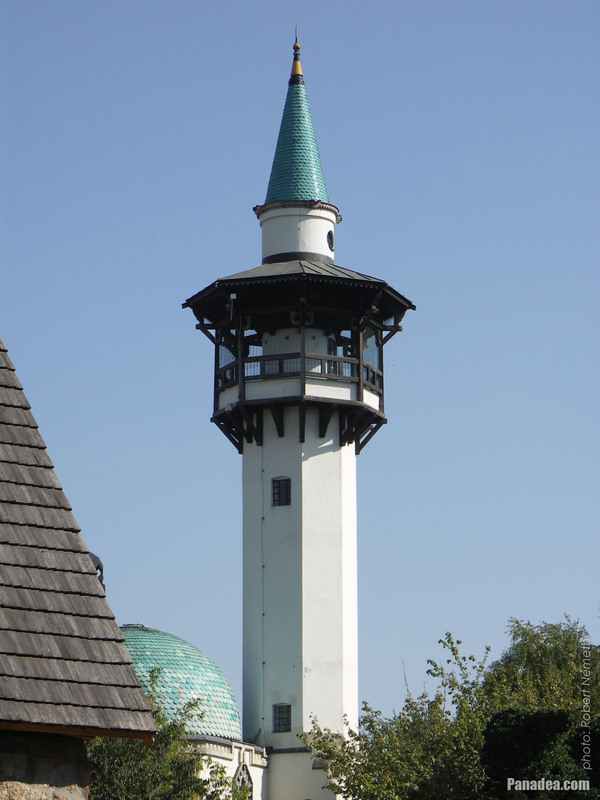 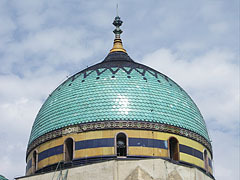 It was built in 1952, designed by the Municipal Planning Bureau, in Hungarian "Fővárosi Tervező Iroda". 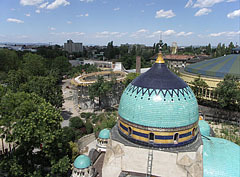 In the distance the Hármashatár Mountain and the Nagy-Kevély Mountain are also visible. The statue was created by Zsuzsanna Pannonhalmi in 1998, made of fireclay and refractory porcelain. 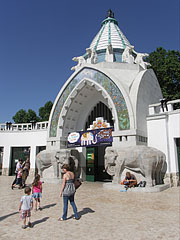 Initially the building was called the Pachyderms' House or the House of the Thick-skinned animals (in Hungarian "Vastagbőrűek háza"). 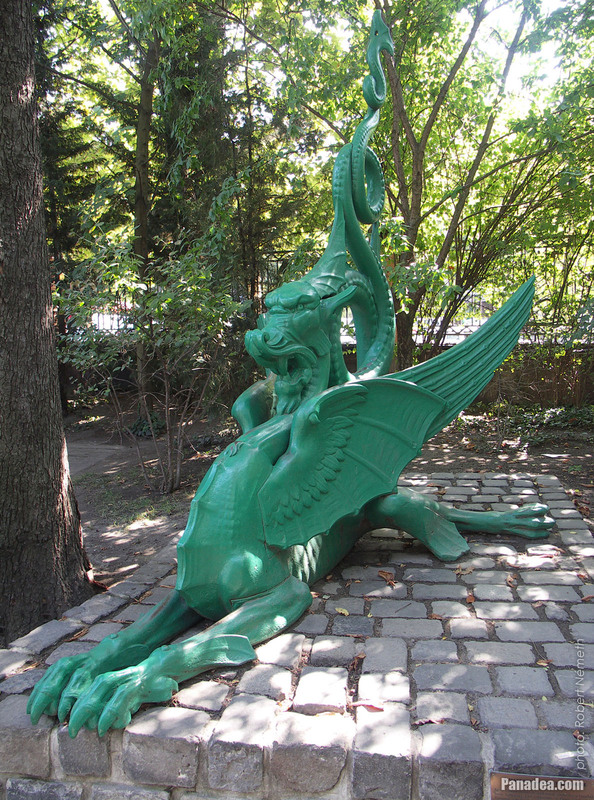 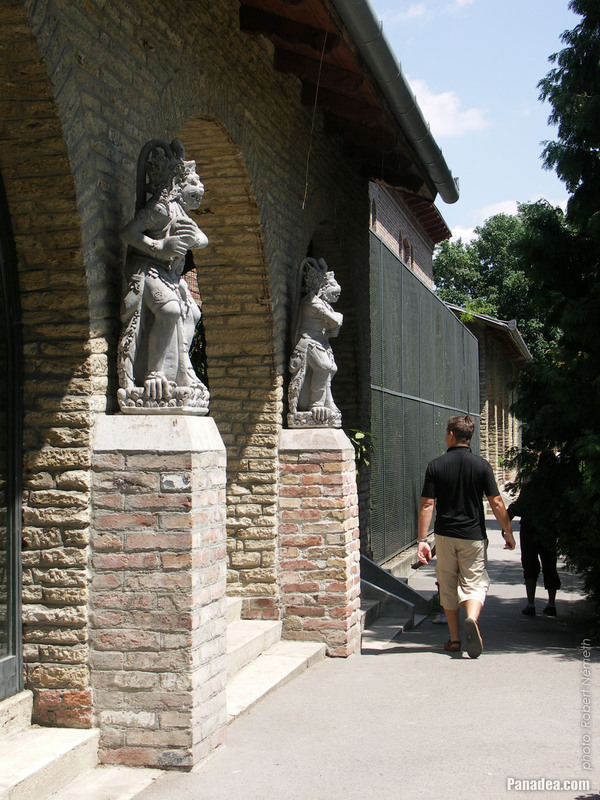 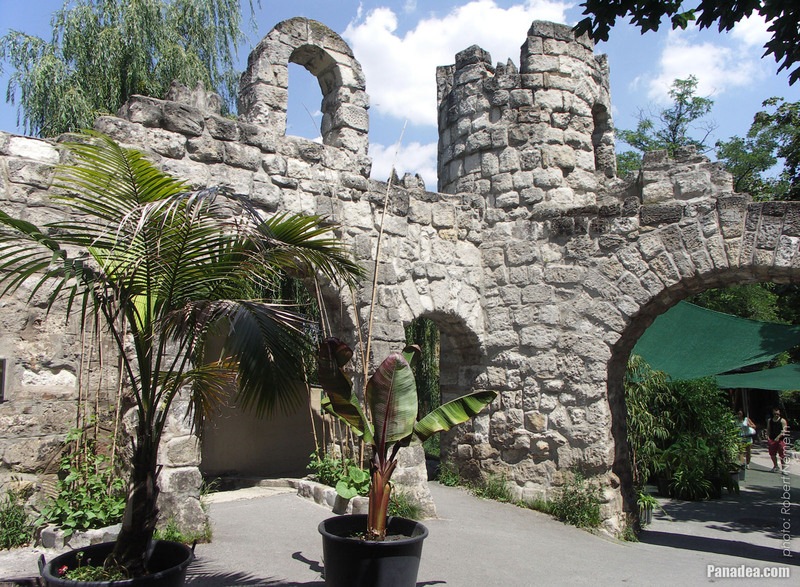 The two large cast-iron dragon statues in the Budapest Zoo are much older than they seem, and their story is quite adventurous as well. 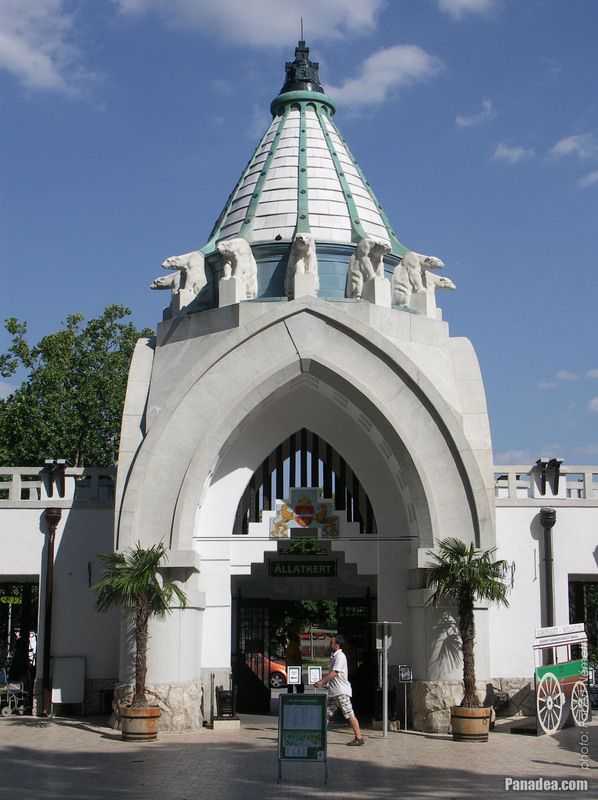 Actually there are three of them and they were created in 1856 in the Schlick Iron Foundry by the plans of Frigyes Feszl. 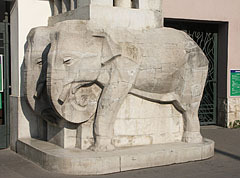 Initially they stood at the Pest-side end of the Széchenyi Chain Bridge, at one of the gates of the Danube Steamship Company ("Duna Gőzhajózási Társaság") close to the Danube bank. 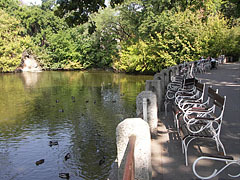 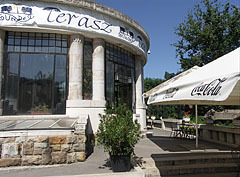 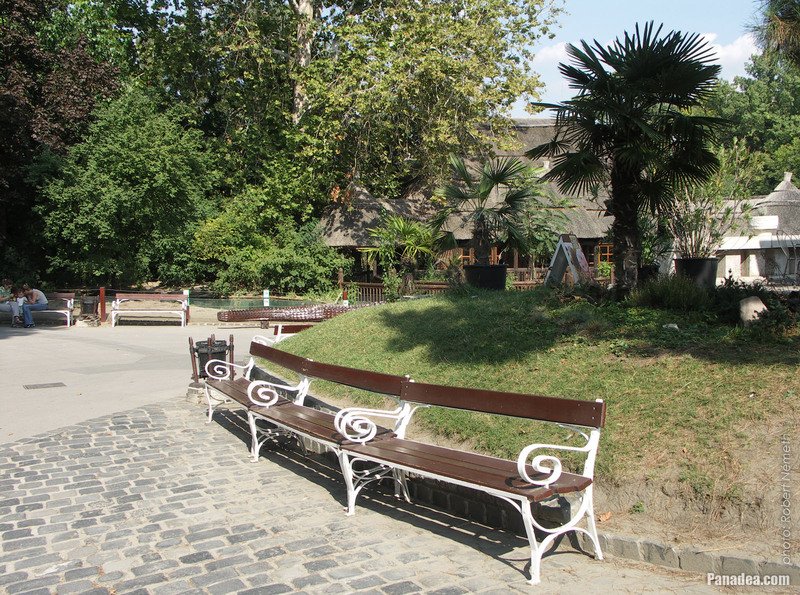 When the embankments were rebuilt they were moved to the edge of the City Park ("Városliget"). 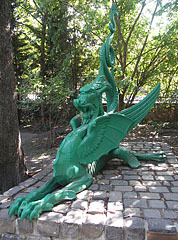 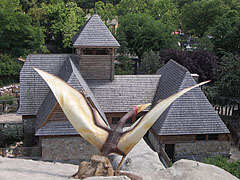 In 1958 one of the dragons was placed in front of the Kiscelli Museum in Buda, as well as the other two were moved to the recently closed Budapest Amusement Park ("Vidám Park") near the "Enchanted Castle" (in Hungarian "Elvarázsolt Kastély") attraction. 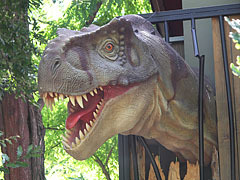 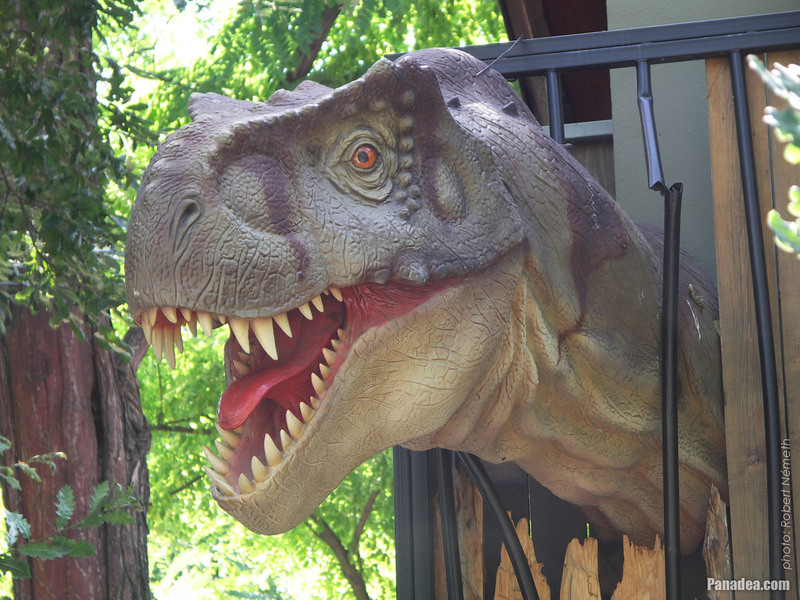 Finally the two iron dragons were moved to the Budapest Zoo from that place in 2010. 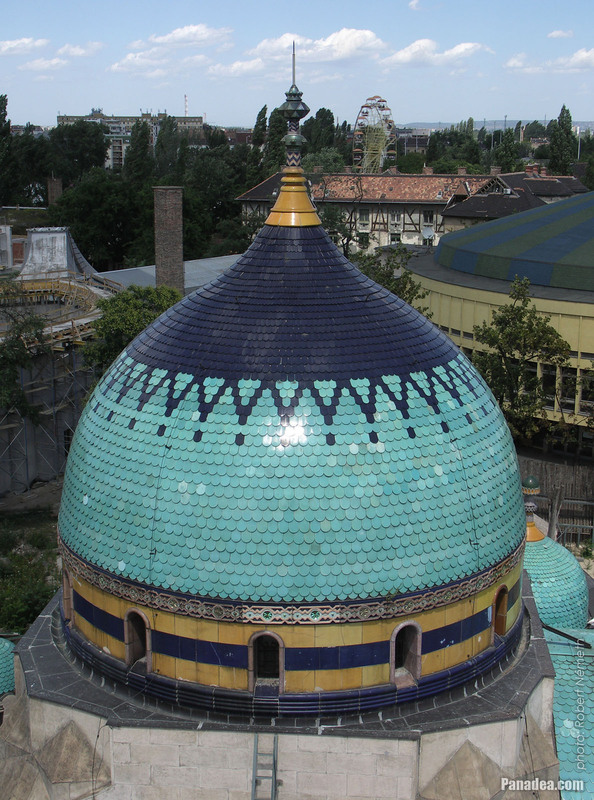 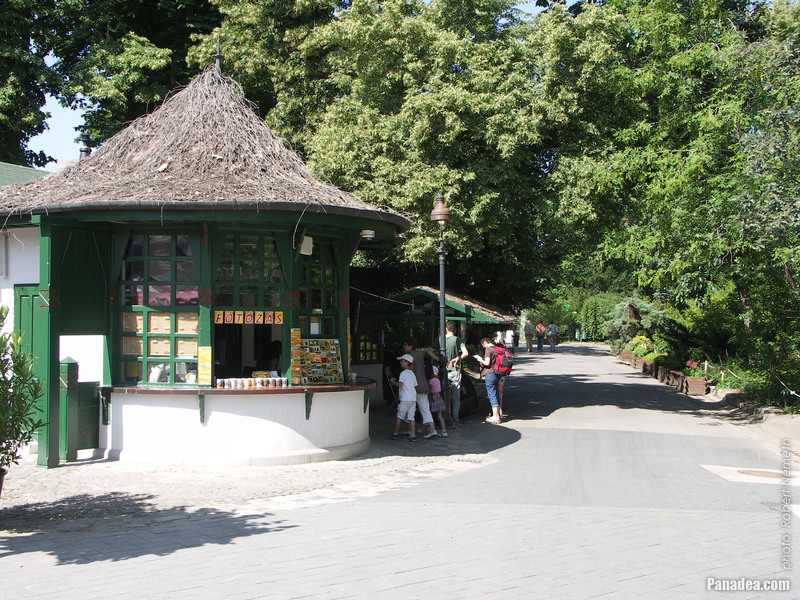 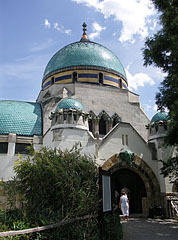 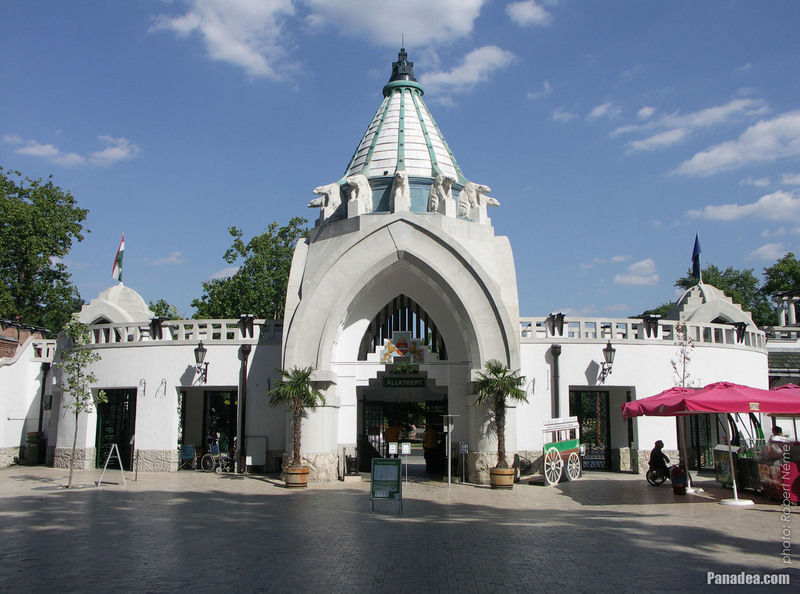 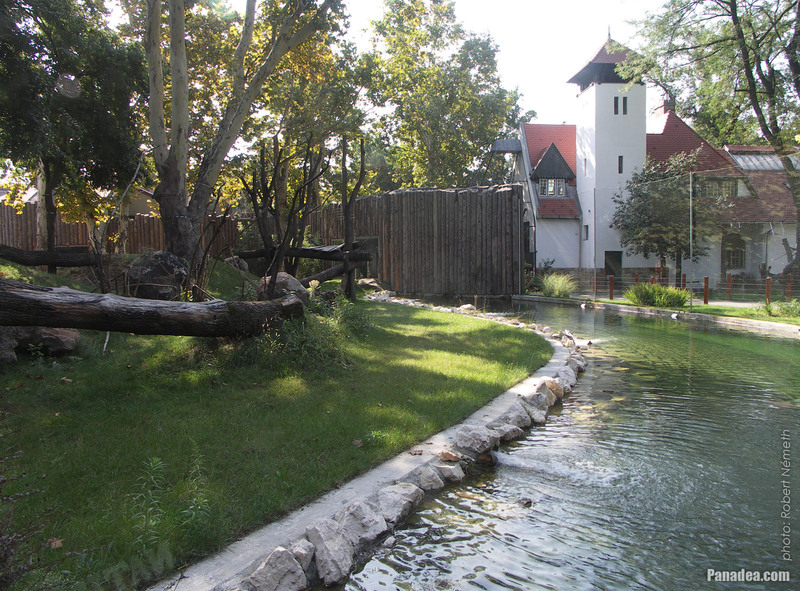 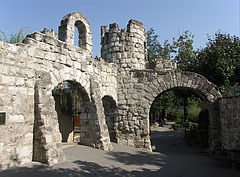 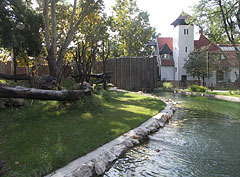 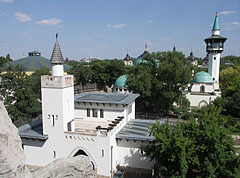 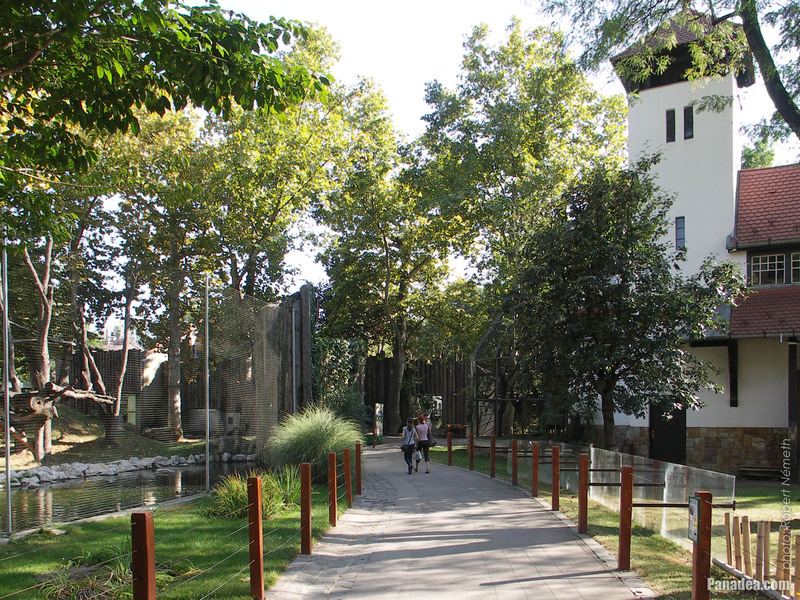 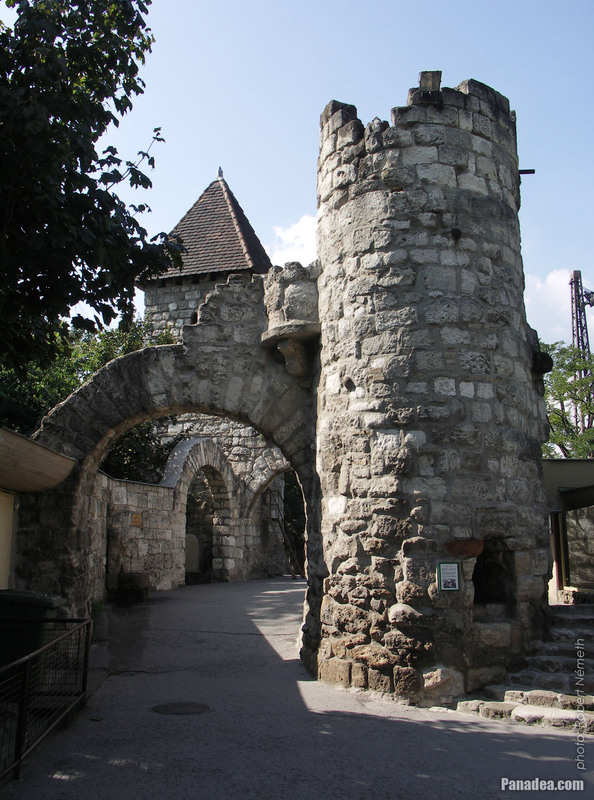 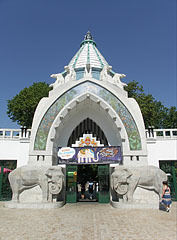 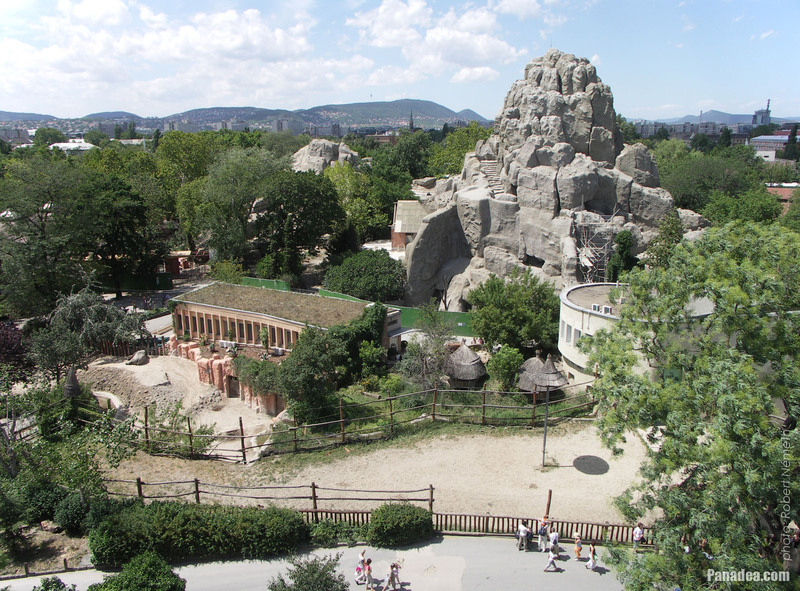 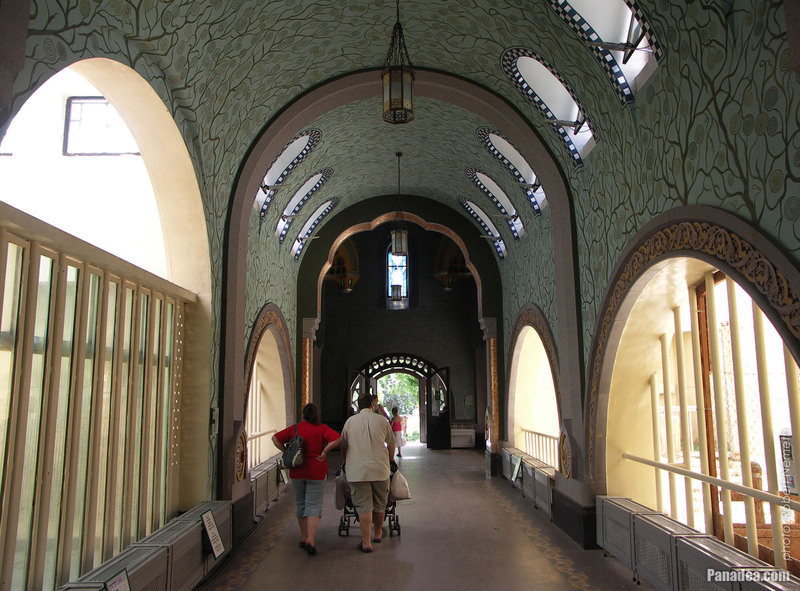 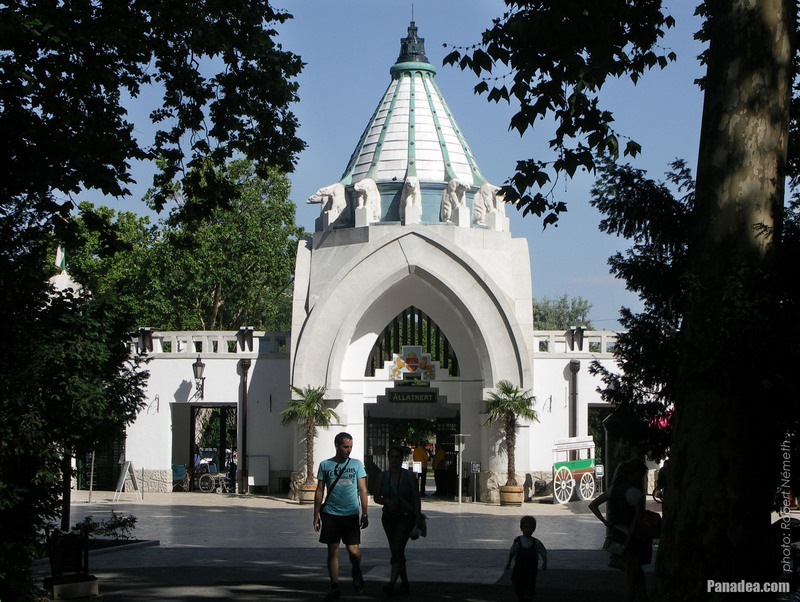 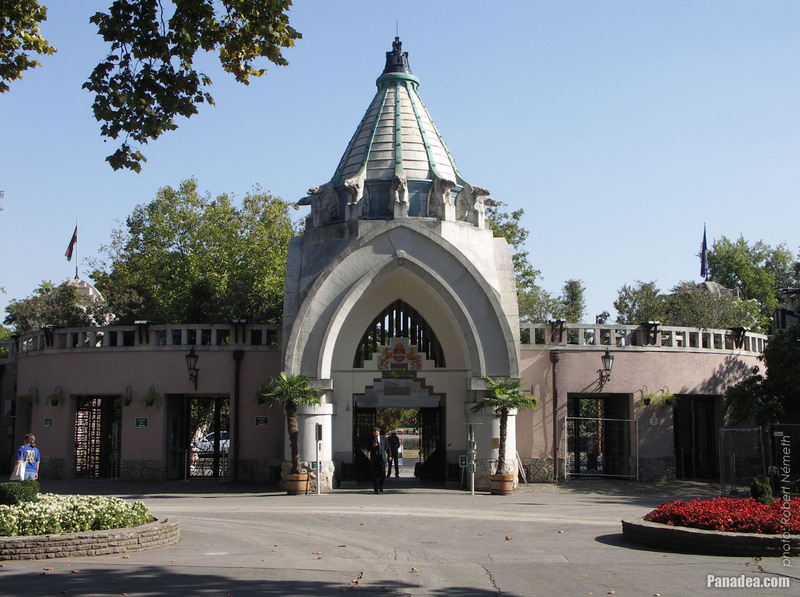 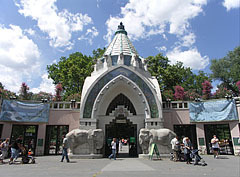 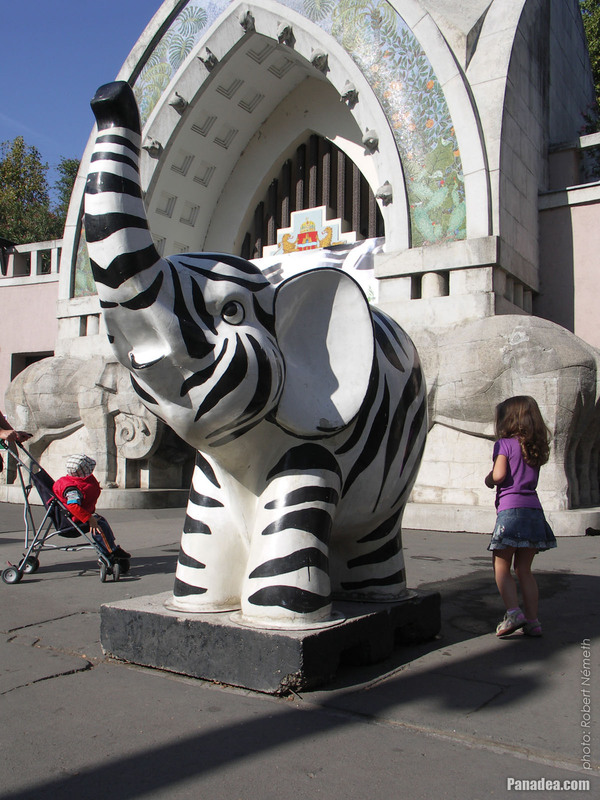 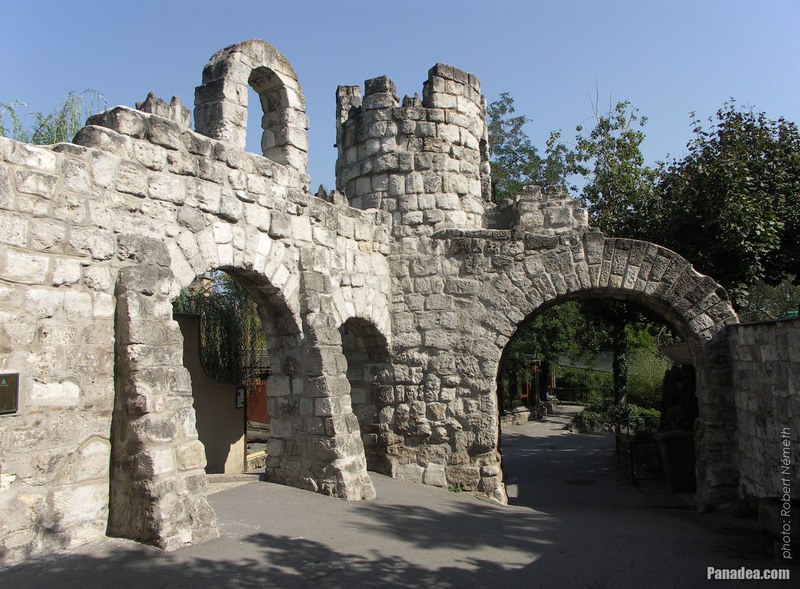 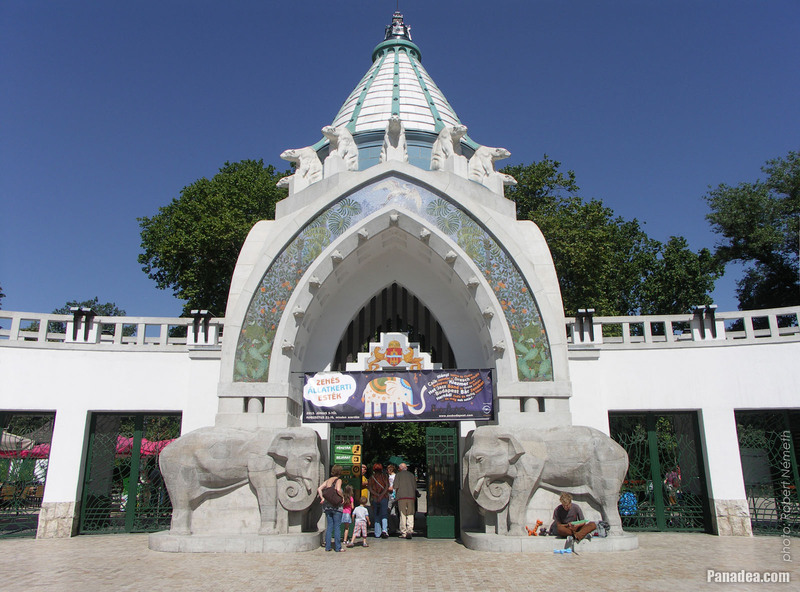 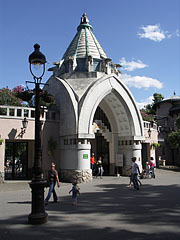 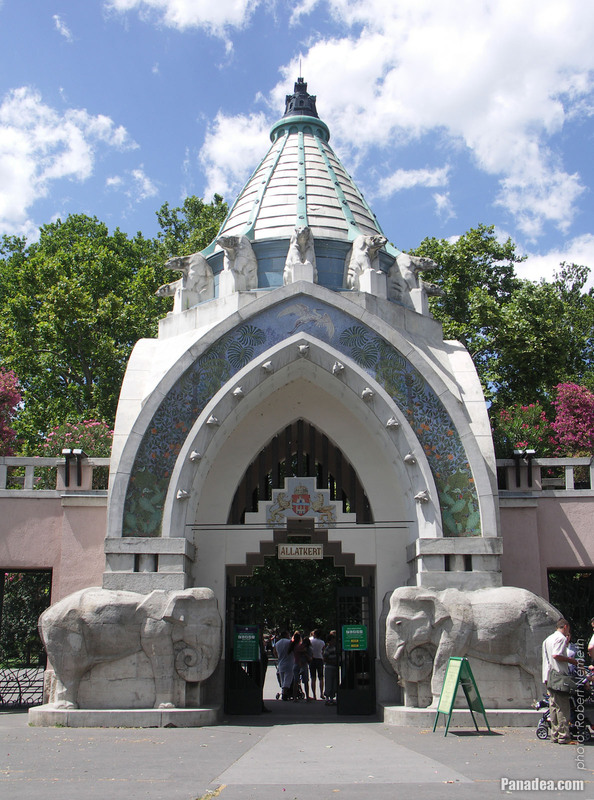 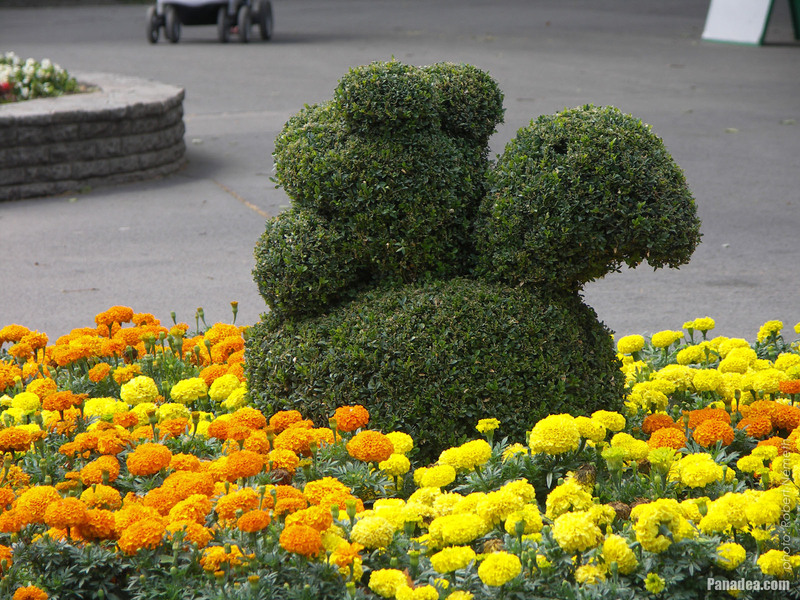 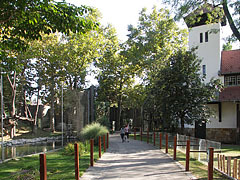 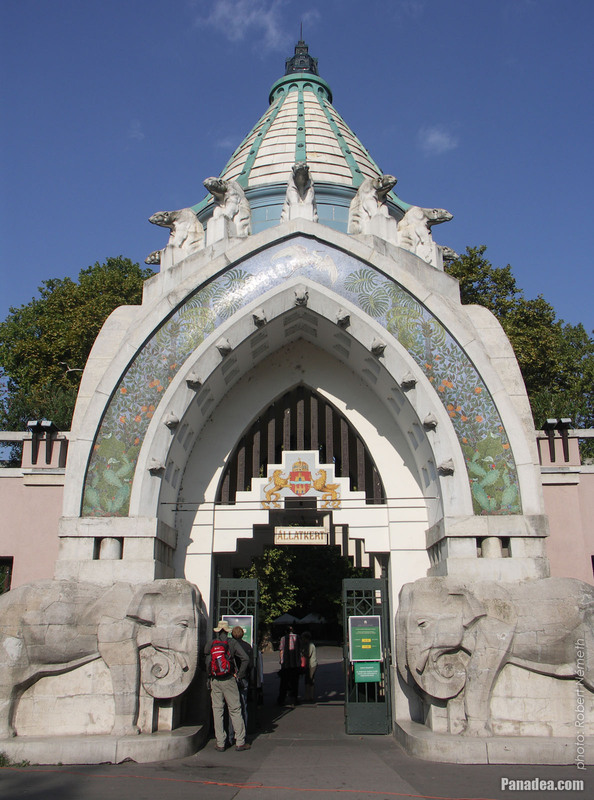 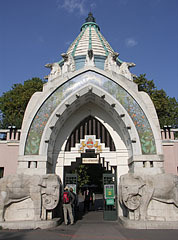 After a long operation the Budapest Amusement Park or "Vidám Park" was closed in September 2013, and then the area was acquired by the Budapest Zoo. 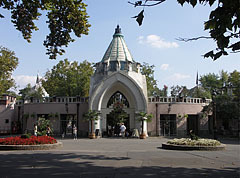 Today this area is called "Holnemvolt Park" (literally "Once Upon a Time Park"), where among other things some of the old, monumental attraction of the former theme park could get a new life. 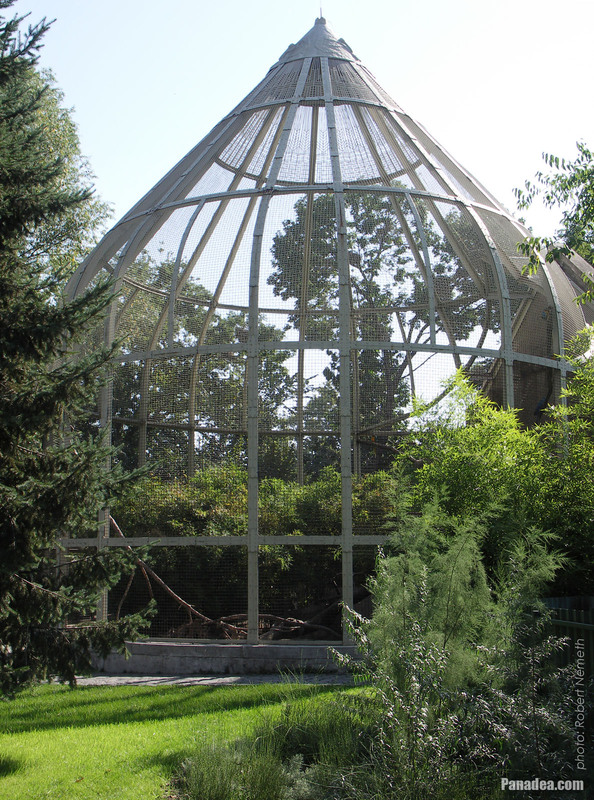 The Palm House of the Budapest Zoo & Botanical Garden was originally designed to the Gellért Hill, but during the big reconstruction of the zoo between 1909-1912 the decision-makers changed their mind and then they decided that here shore of the Great Lake will be the best place for it. 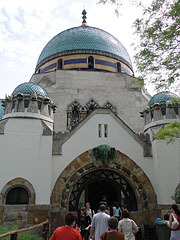 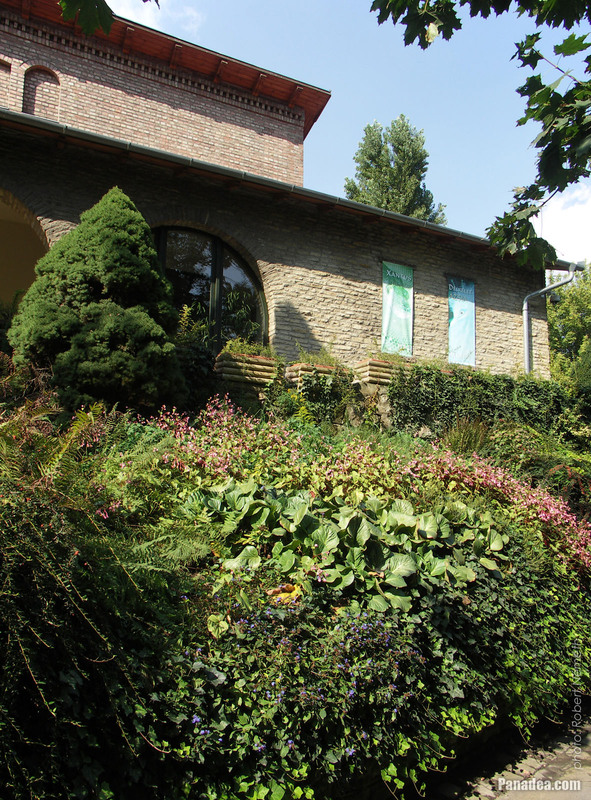 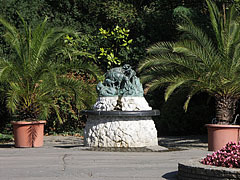 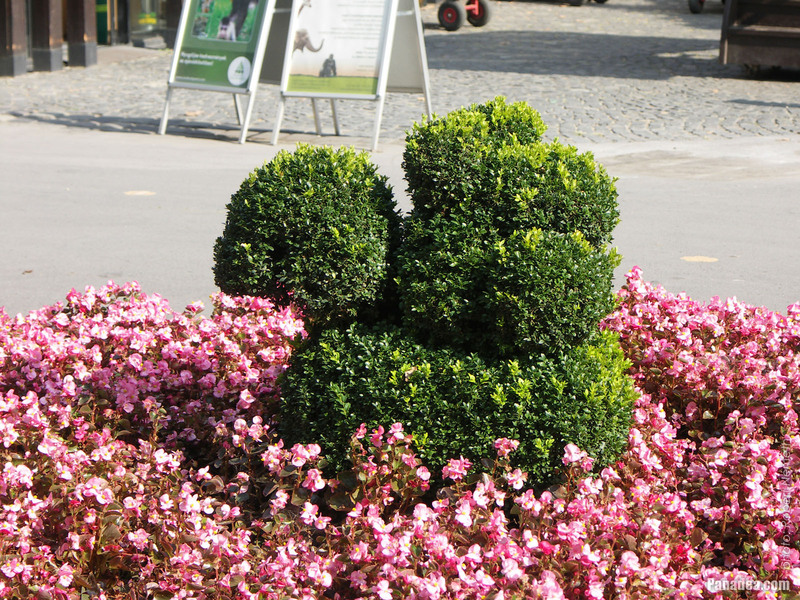 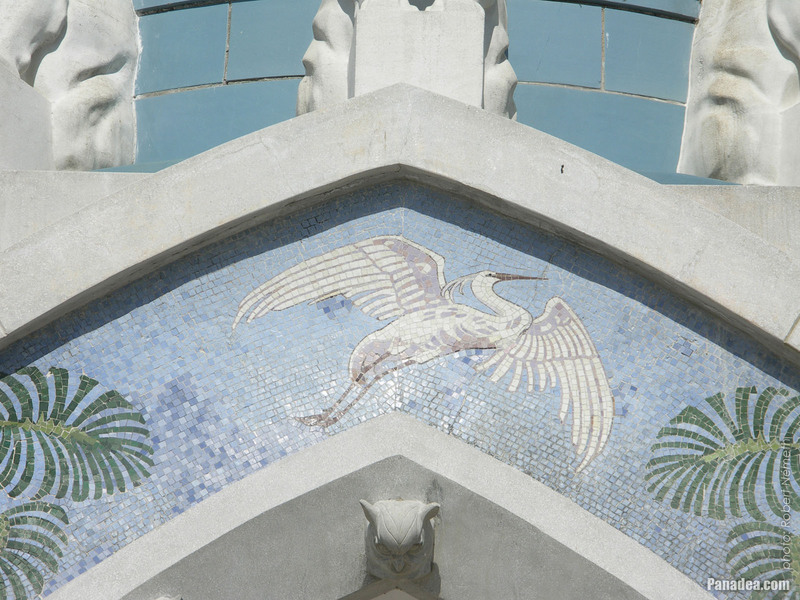 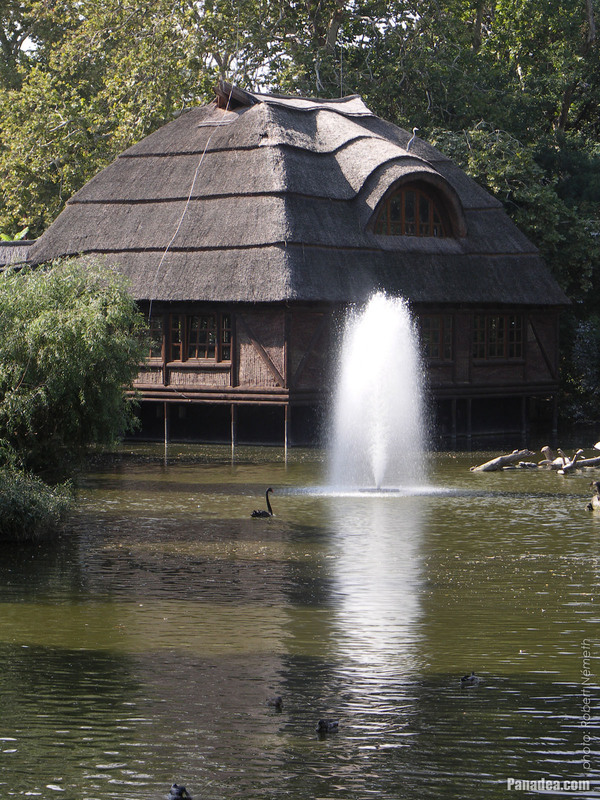 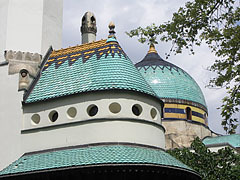 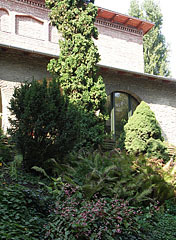 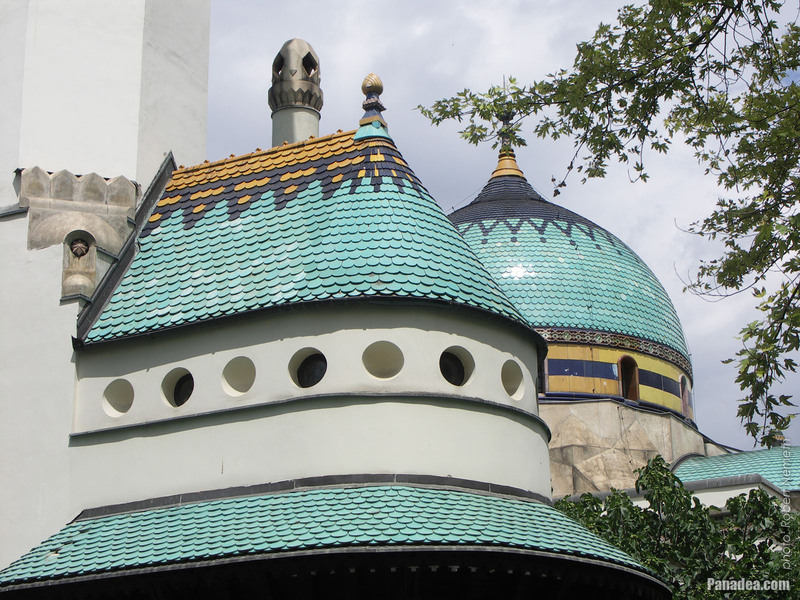 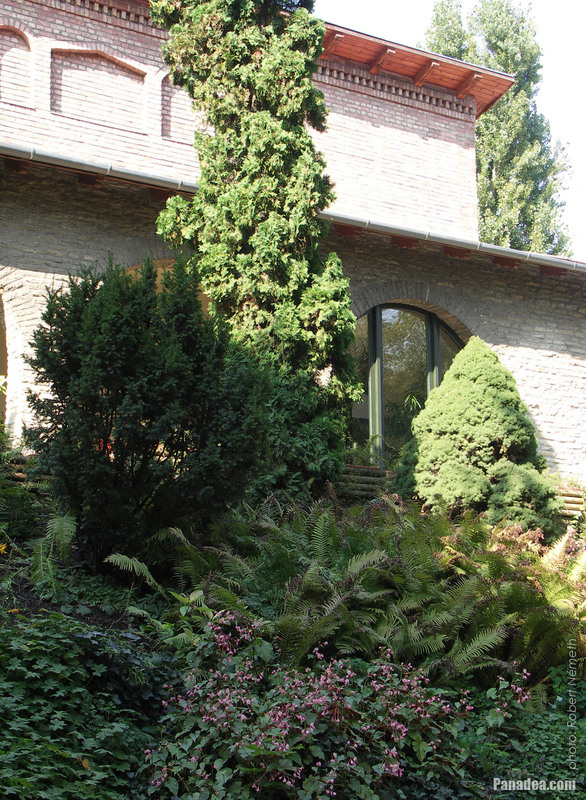 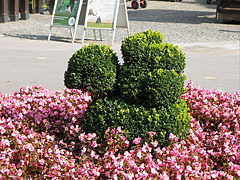 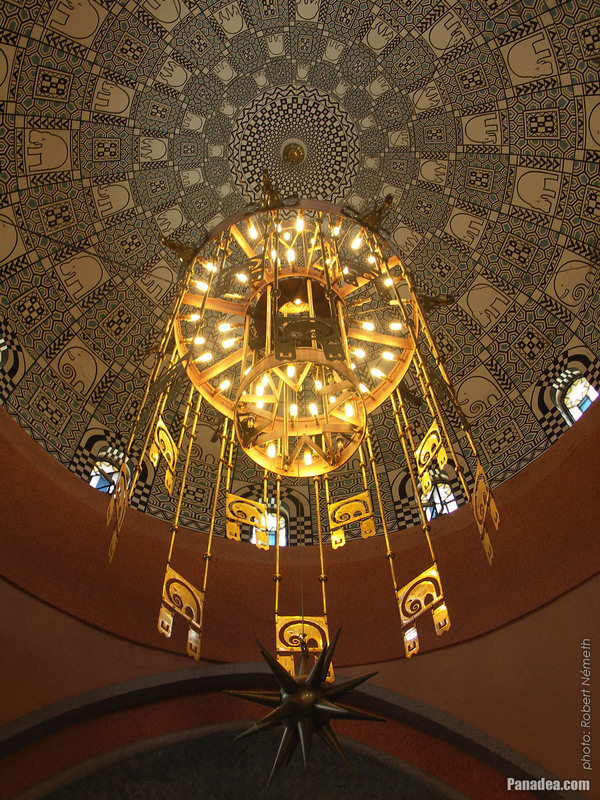 The technical design was made by Gyula Végh, as well as the horticultural (garden) design was the work of Keresztély Ilsemann and Károly Räde. 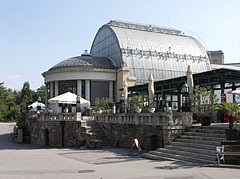 The building is an iron-structure big glass hall that consists of two main parts and 3-3 side halls. 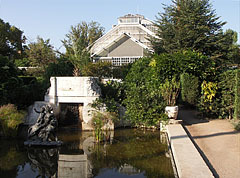 Beside presenting plants it also had a terrarium, for example in 1934 crocodiles were settled in the semicircular part what is today a confectionery. The World War II caused serious damages in the Palm House, and it could be opened again only in 1952, but then it was still in very bad condition due to among other things the damages and the humid climate inside the building. 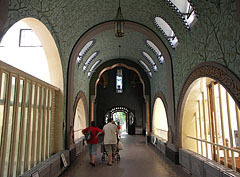 These problems were fixed only by the big reconstructions between 1991-2000, so as of today the visitors can view this together with the Aquarium in its original (or even more beautiful) splendor again. János Xántus (1825-1894) was a Hungarian zoologist, traveler and ethnographer, and also the first director of the Budapest Zoo. 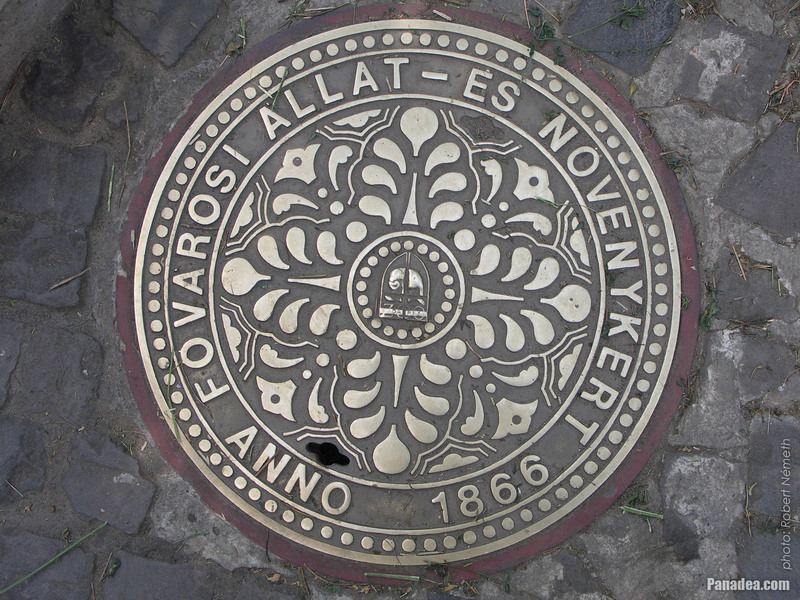 Outside of Hungary he is known as John Xantus de Vesey. 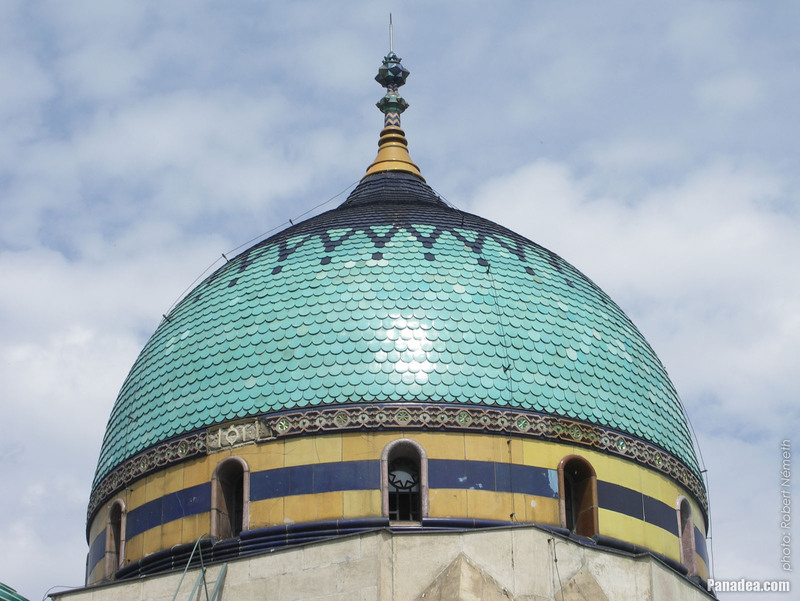 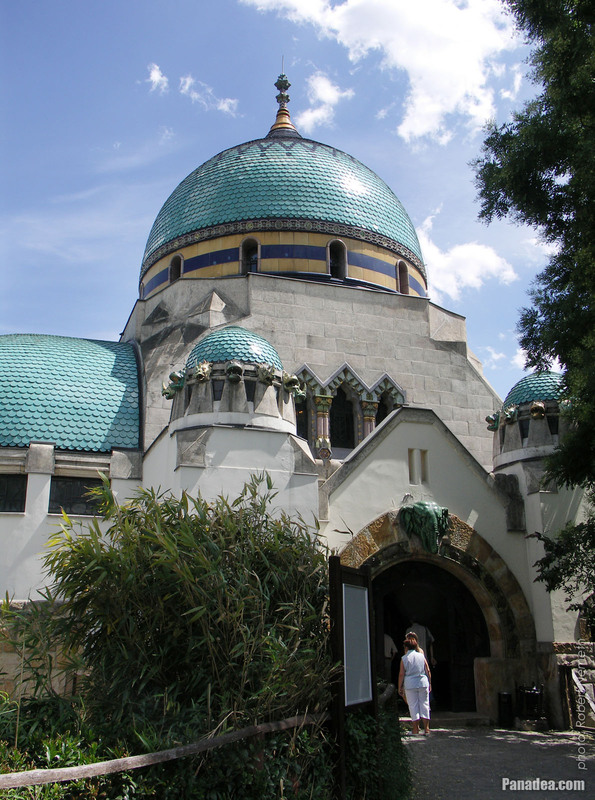 He supported the Hungarian National Museum by significant botanical and zoological collections. 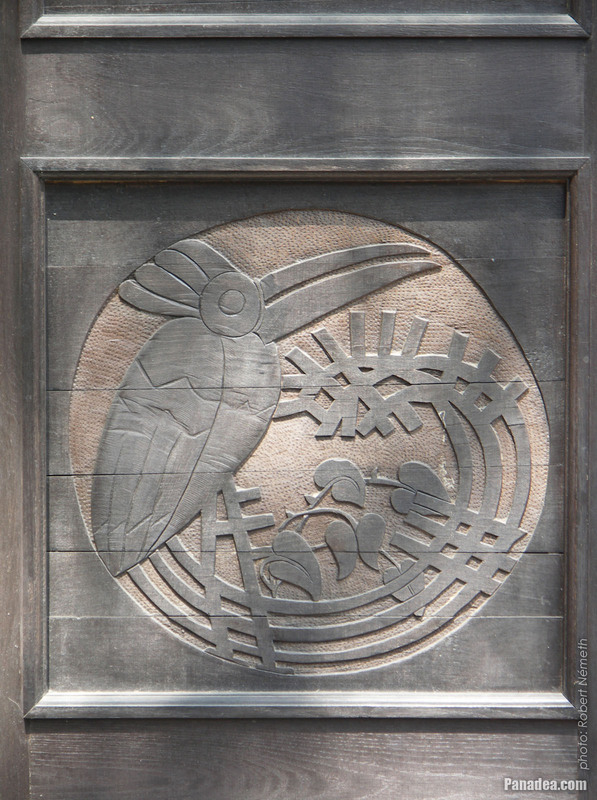 The sgraffito is not a simple mural or painting, but a picture that is created by conscious and precise scraping of the different colored coating or plaster layers, after they were deposited on the wall one after the other. 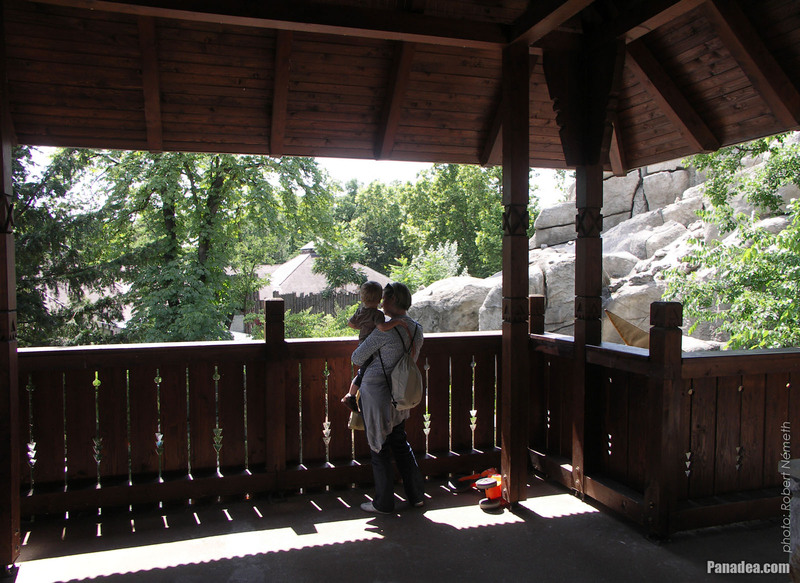 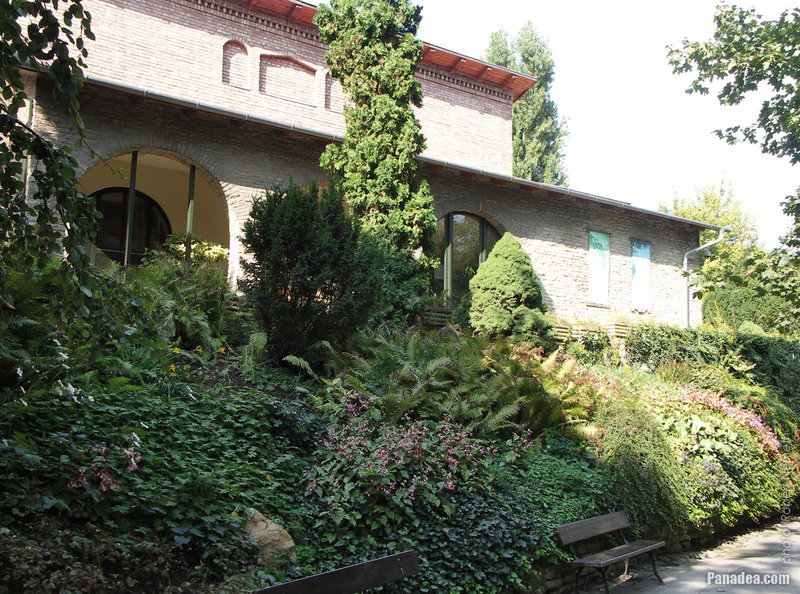 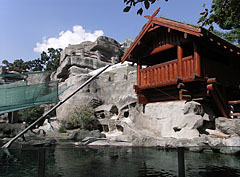 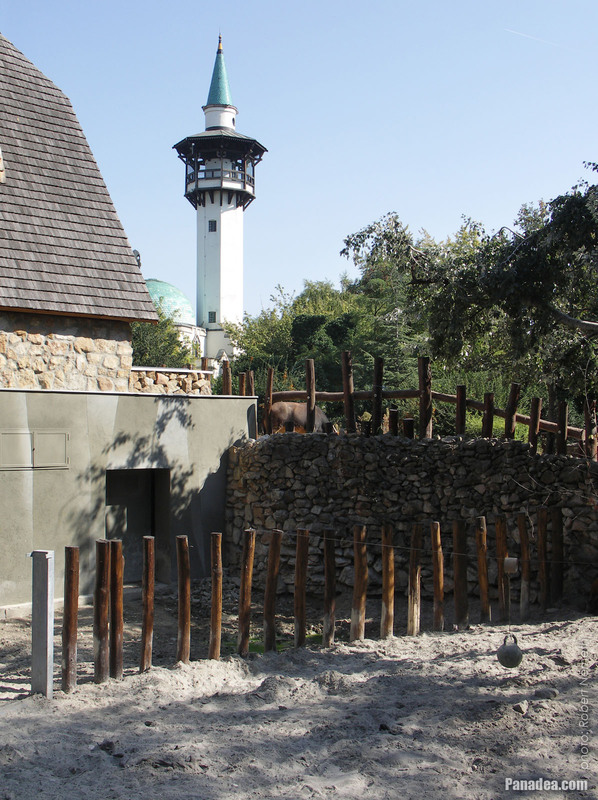 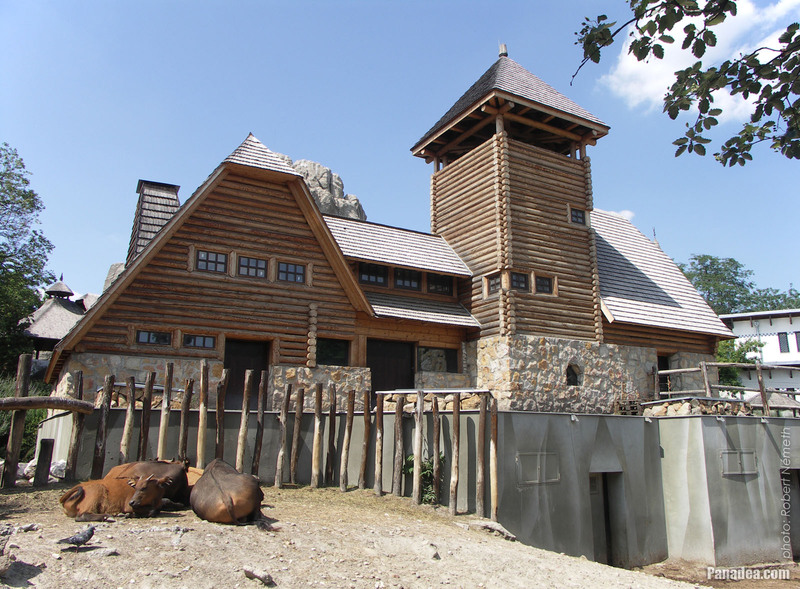 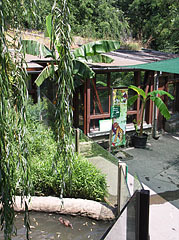 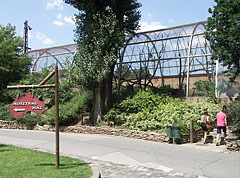 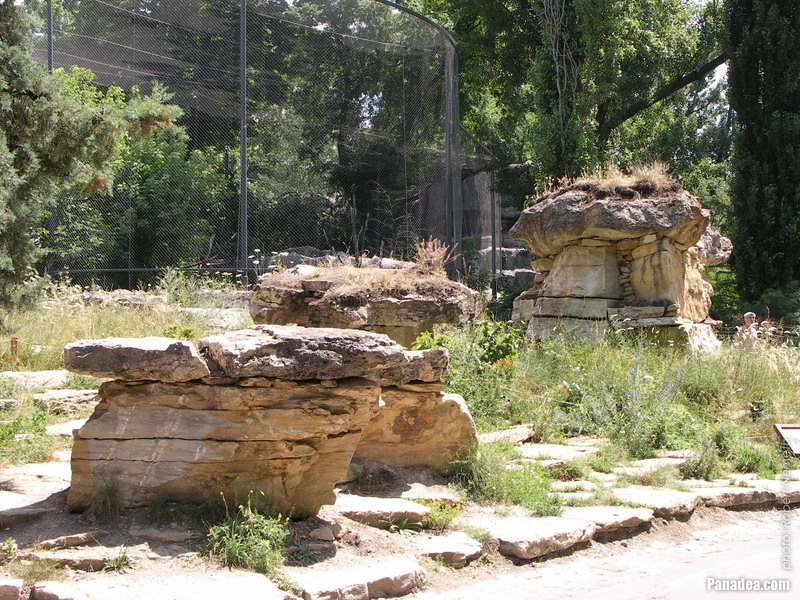 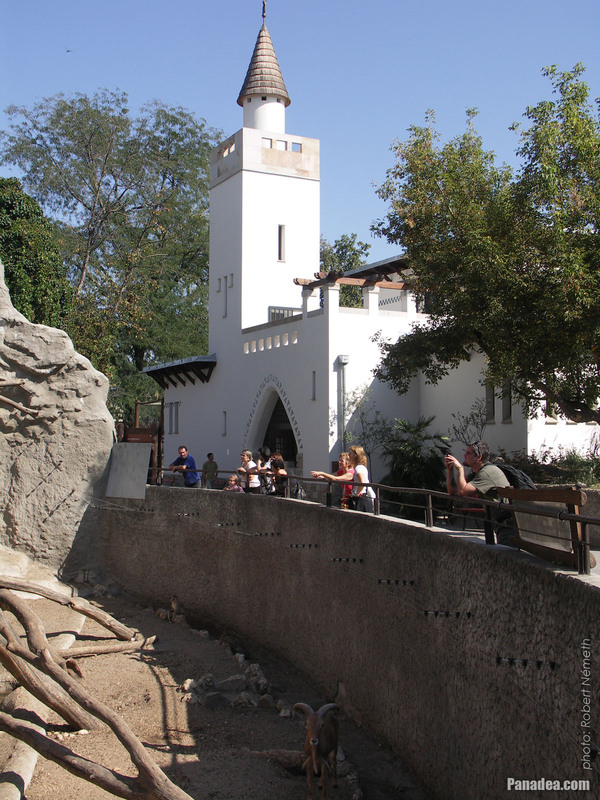 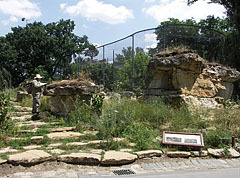 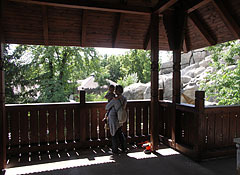 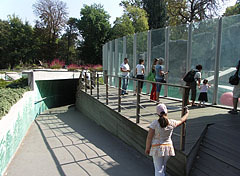 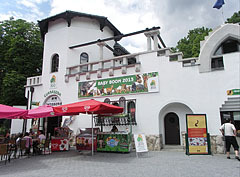 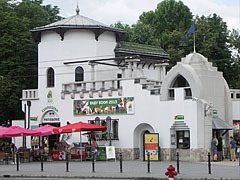 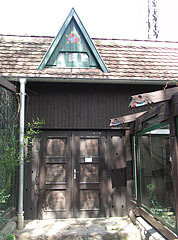 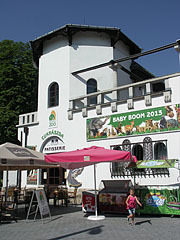 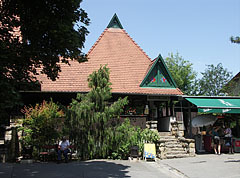 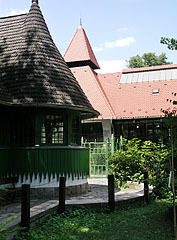 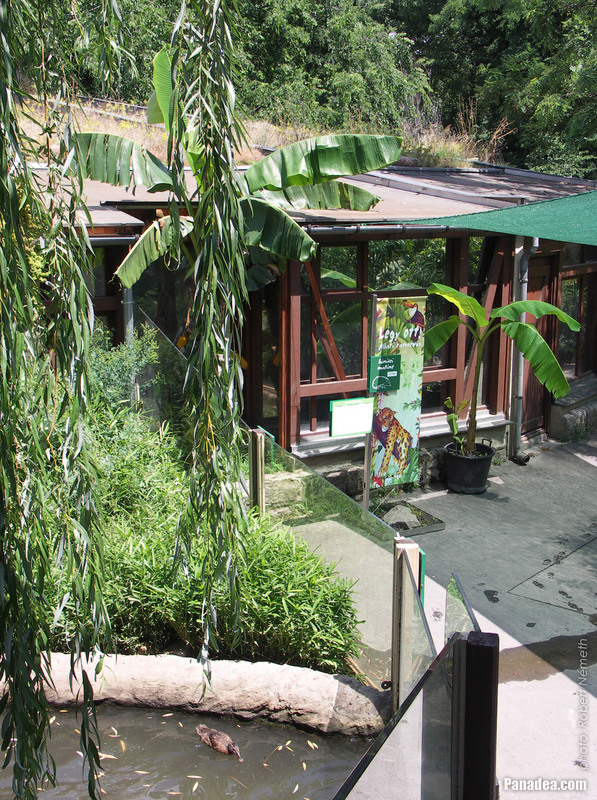 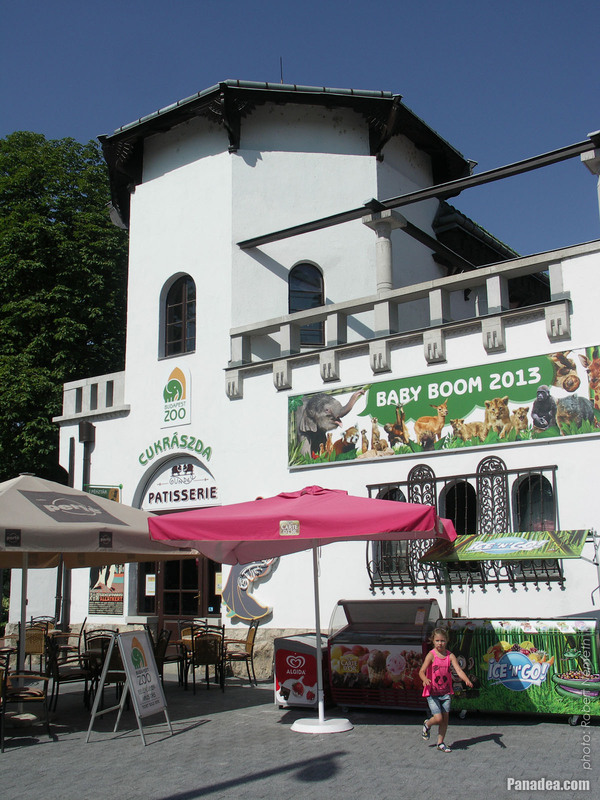 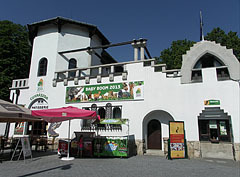 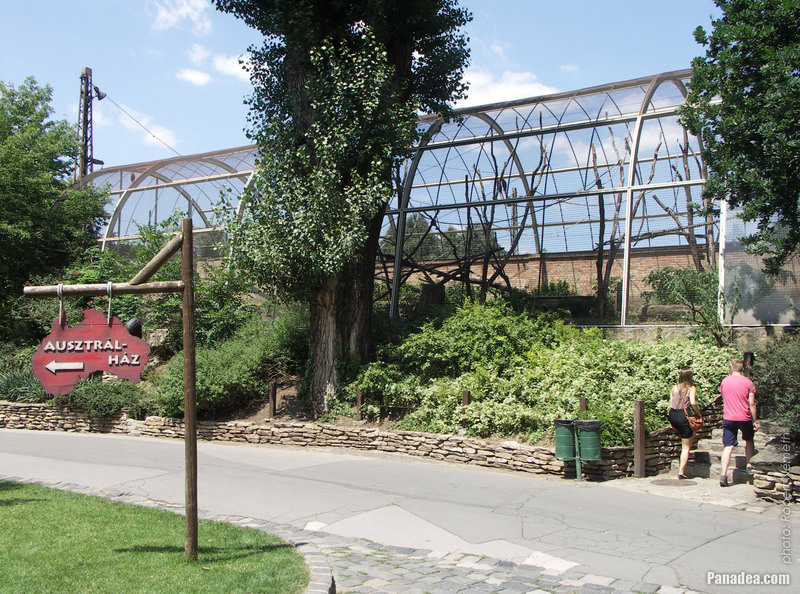 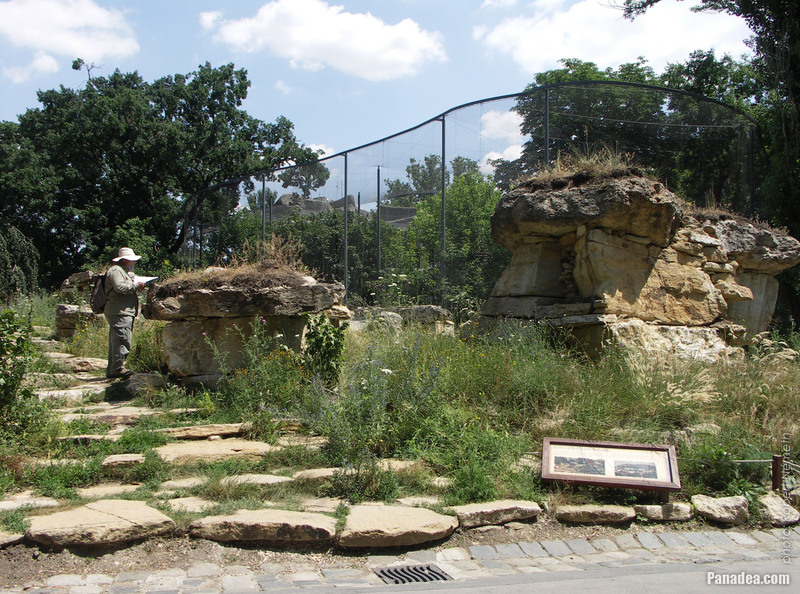 This is the situation for example in the case of the Bisons' House ("Bölényház") in the zoo. 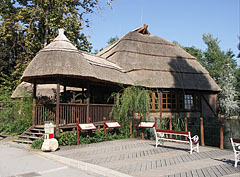 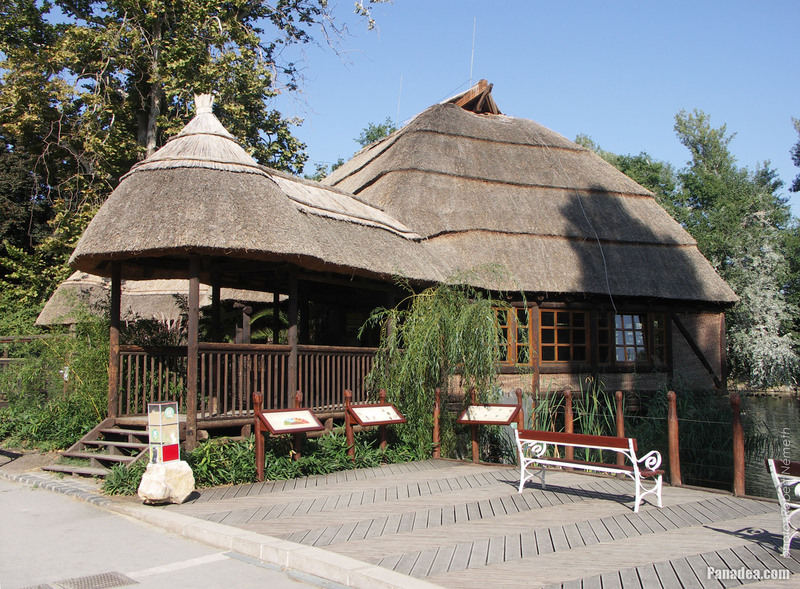 The Bison House of the Budapest Zoo & Botanical Garden was built in 1963 in socialist realist style by the plans of Gyula Kéri and Ferenc Bognár, on the site of the former Buffalo House which was built in 1912 and destroyed in the World War II. 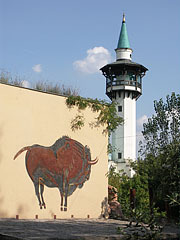 The bison figure on its wall was designed by Jenő József Percz, inspired by prehistoric cave paintings and African drawings considering both the shape and the colors. 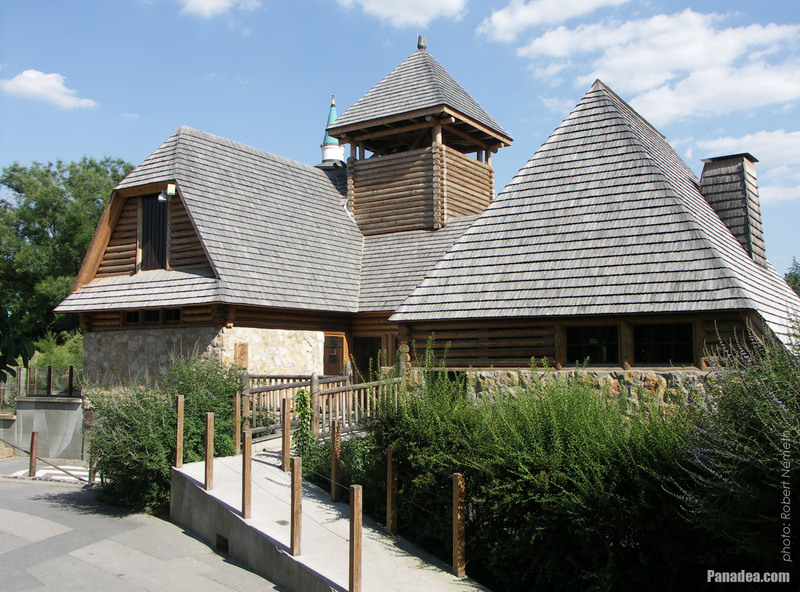 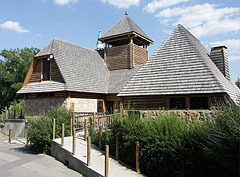 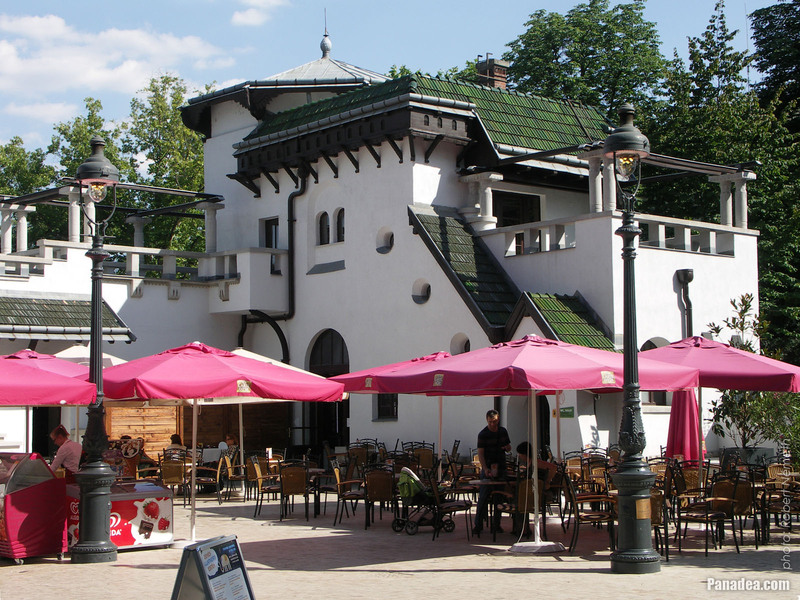 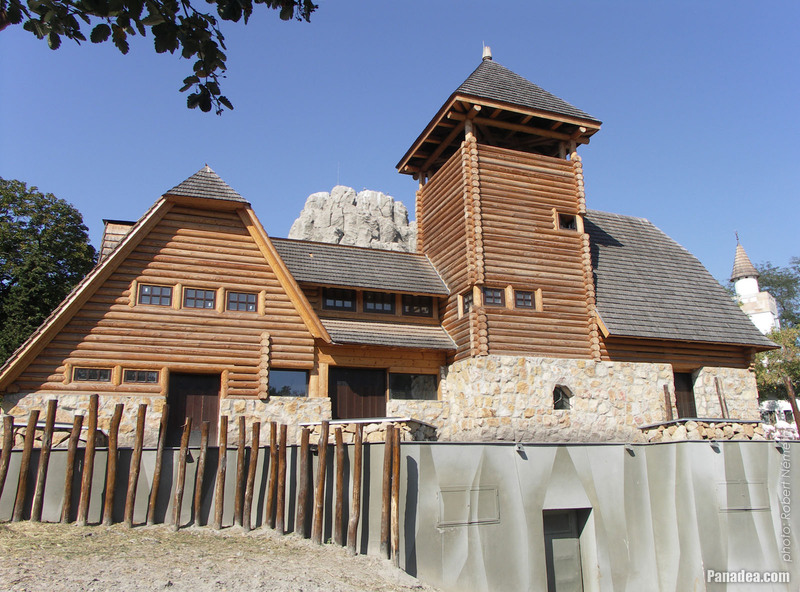 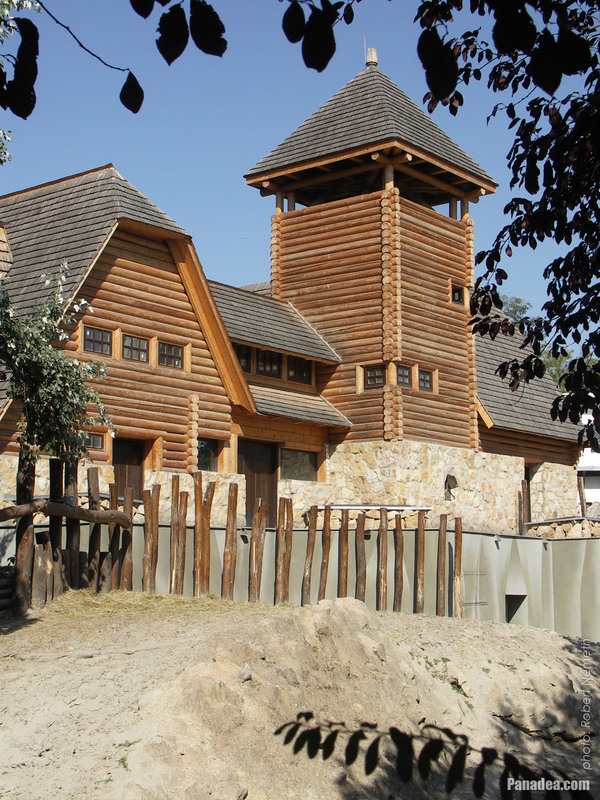 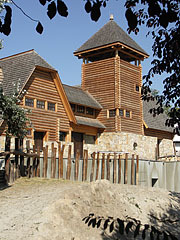 The building was demolished in 2010 and the replica of the former Buffalo House of Károly Kós and Dezső Zrumeczky architects was built on the top of its foundations. 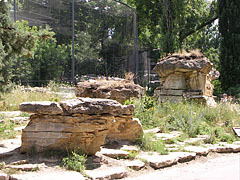 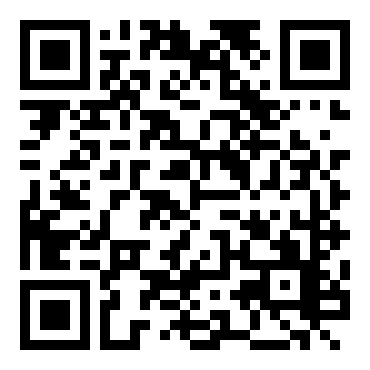 From then it is unknown what happened with the bison picture. 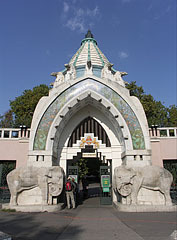 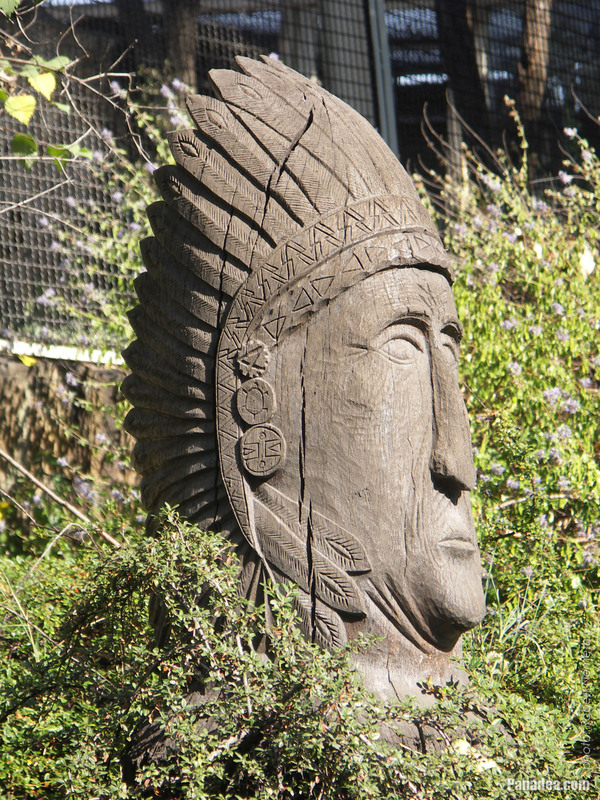 The originals of two wooden column-sculpture close to the so-called Elephant Gate of the Budapest Zoo were brought here to Budapest from the Congo region in Africa, and they were exhibited when the zoo was renovated in 1912. 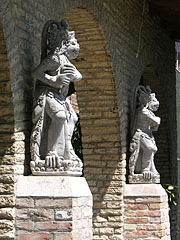 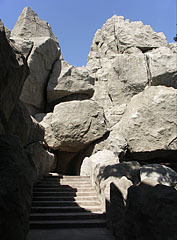 However, these sculptures were destroyed in the World War II. 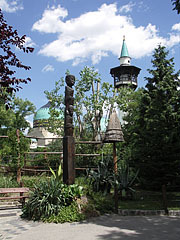 The columns were resculpted of wood by the Hungarian sculptor József Tóth in Tanzania, Africa, and they were placed to their current site in 1998 by courtesy of Pál Lendvai and Gyula Pázmándi.